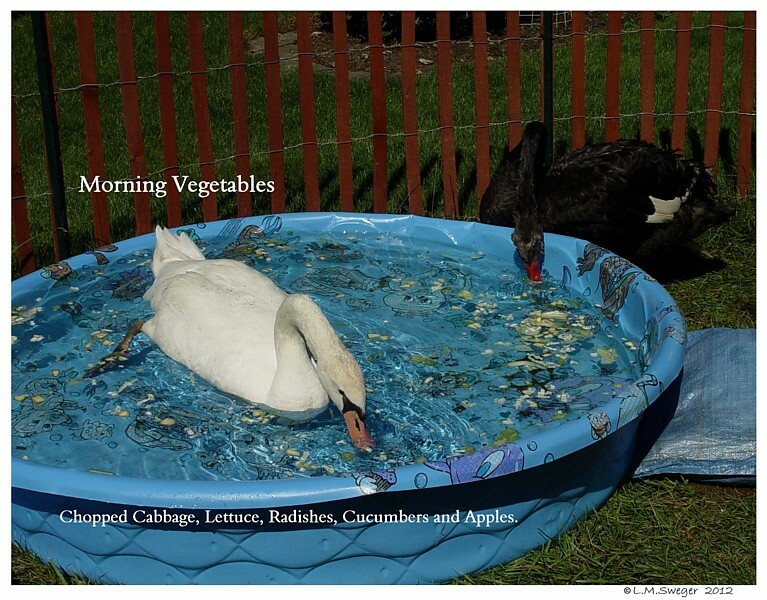 To Provide a Healthy Diet for your Swans you need to Think Vegetables. 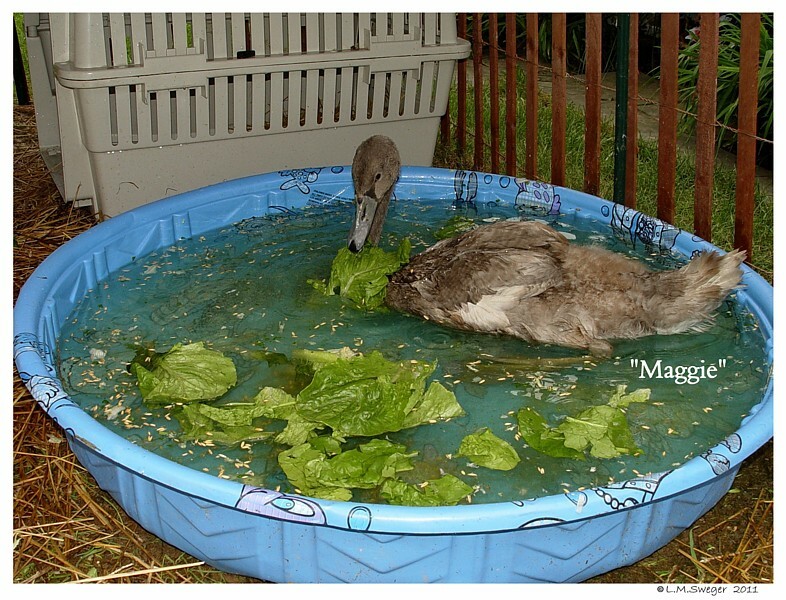 80 % of their Natural Diet is Plant Material. 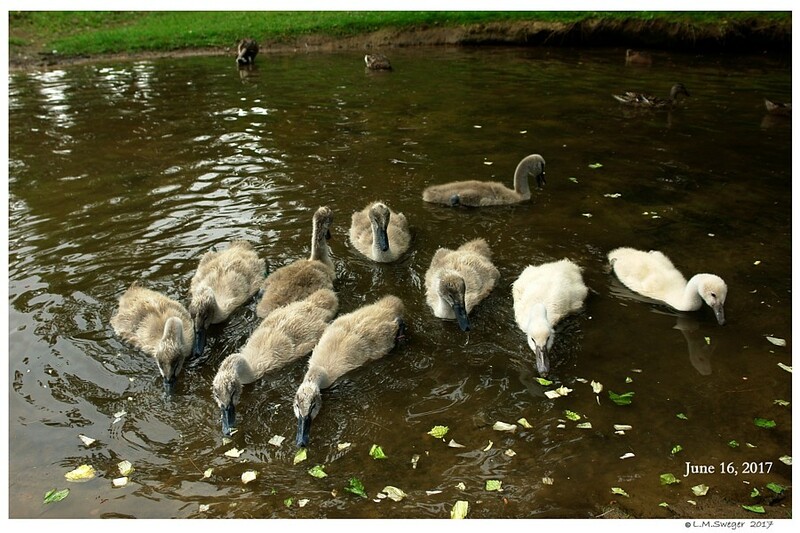 **** You are the BEST Person to ensure your Swans receive a Healthy Diet. 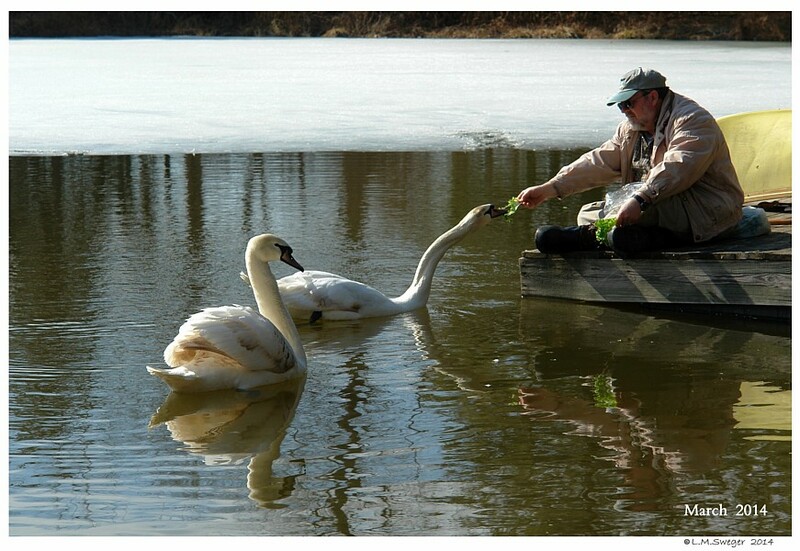 **** When you care for “Captive” Swans they depend on YOU !!! 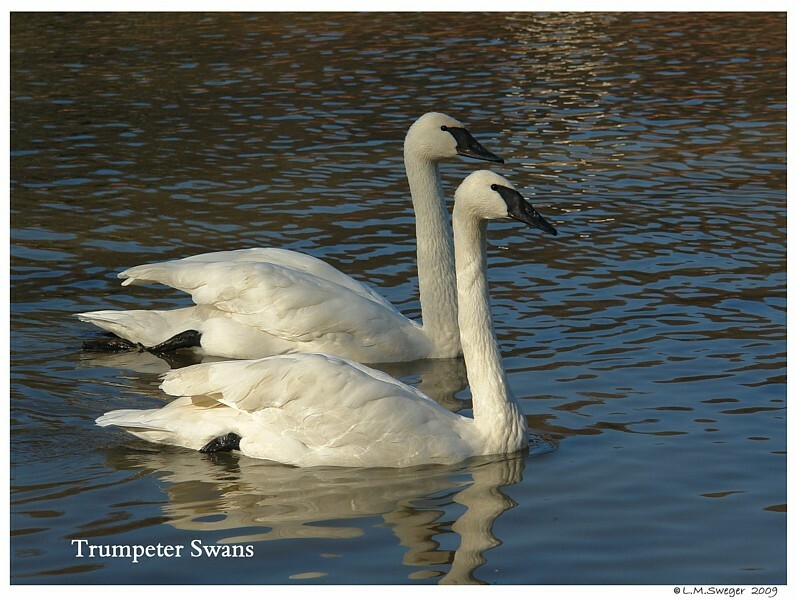 If Mute Swans were living in the Wild, they would have a Feeding Range of 3-5 Square Miles to find what Foods their Bodies require to be Healthy. 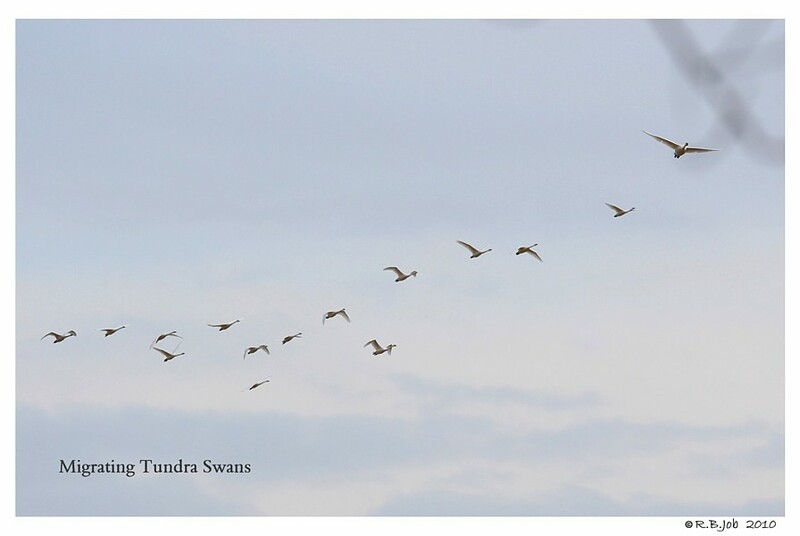 Wild Tundra and Trumpeter Swans migrate Hundreds to Thousands of Miles Annually… They will have a wide variety of Plants and Insects to Graze on. 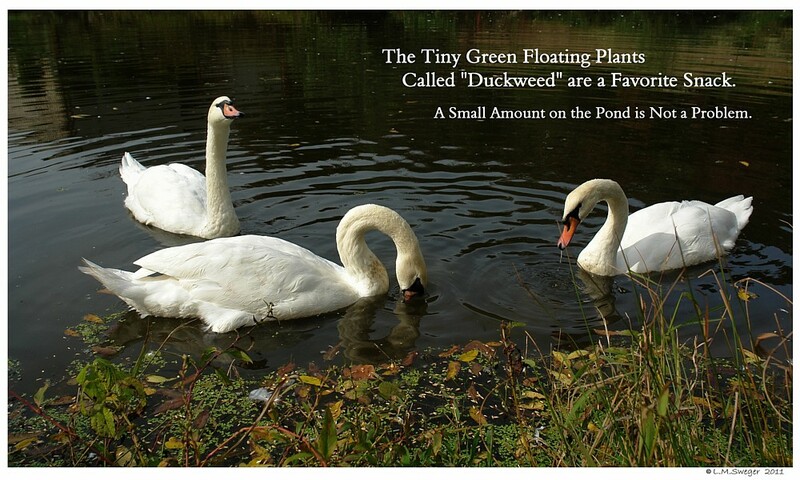 Swans living on Natural Fresh Water Rivers/Creeks/Ponds/Lakes will typically eat Pond Weeds, Duckweed, Stonewort and Wigeon Grass, some Algae as well as Tadpoles and Insects. 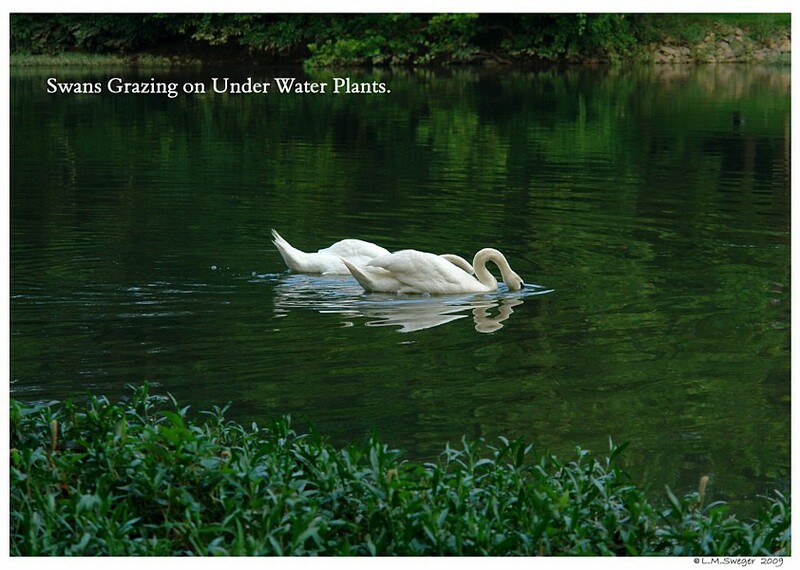 Swans will learn where to find their favorite Underwater Plants. There will be Insects and Underwater Critters that will help provide Natural Protein and Calcium. 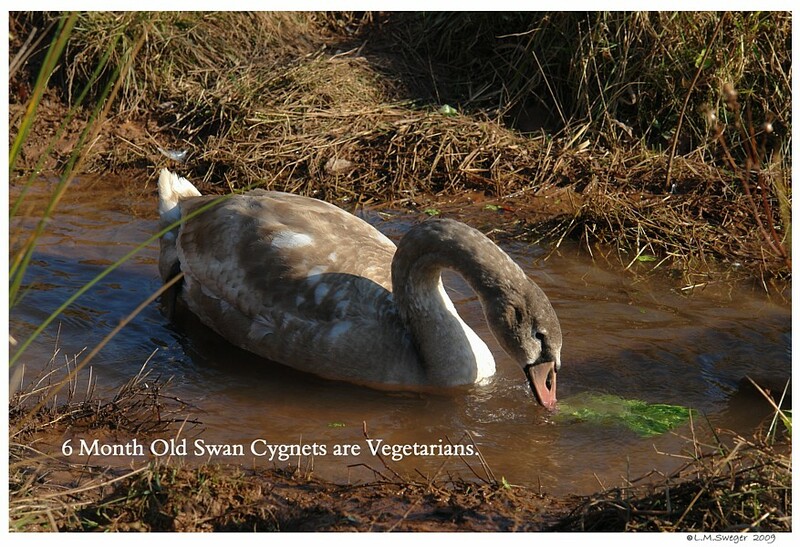 Once we Pinion or Clip to Ground a Swan, they are “Captive” for us to enjoy. 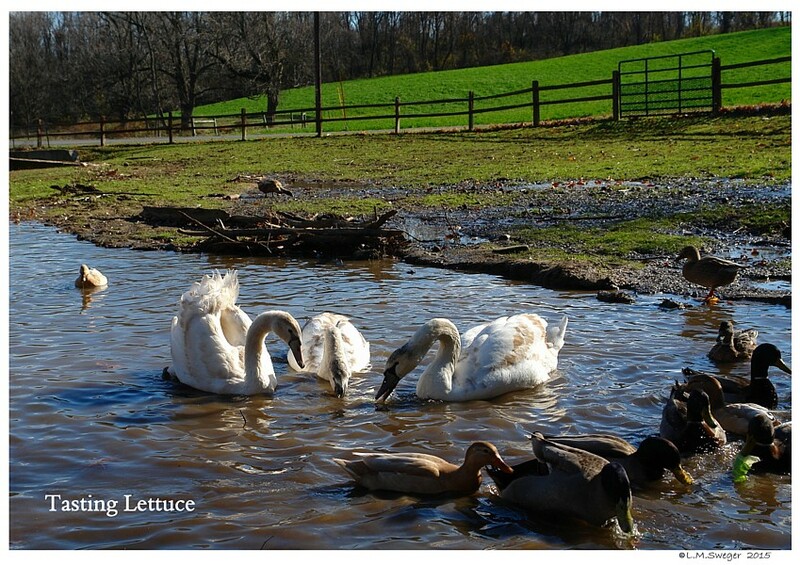 These Swans depend on us to help them have the Nutrients that their Bodies need to be Healthy. 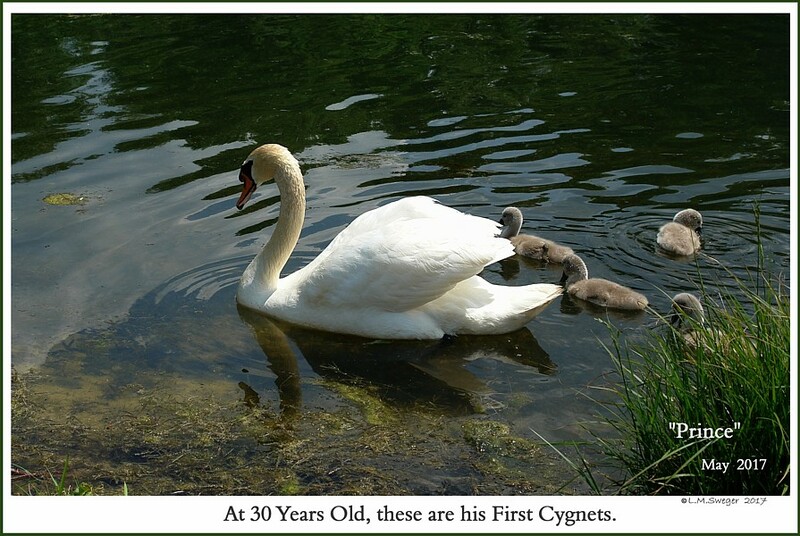 Healthy Swans may live 20-30+ Years. 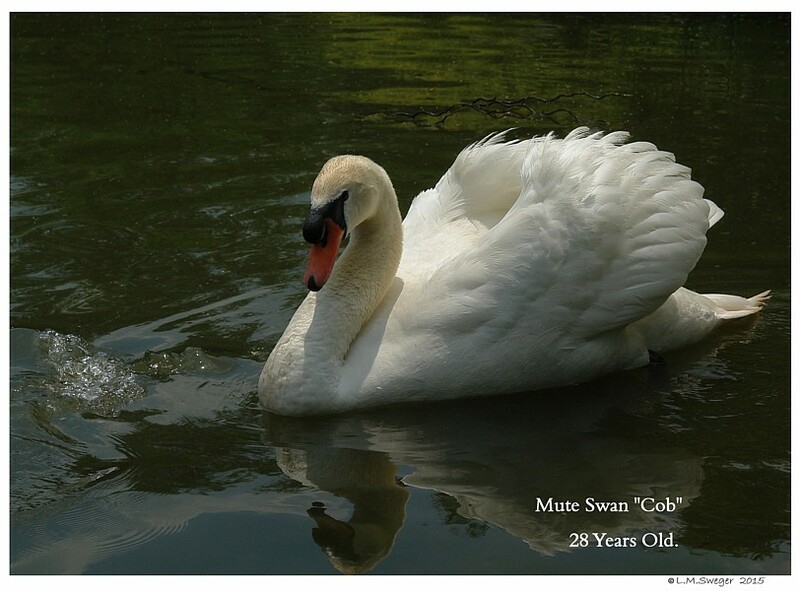 The Oldest Know Swan was a Male Mute in England, that lived to 104 Years. 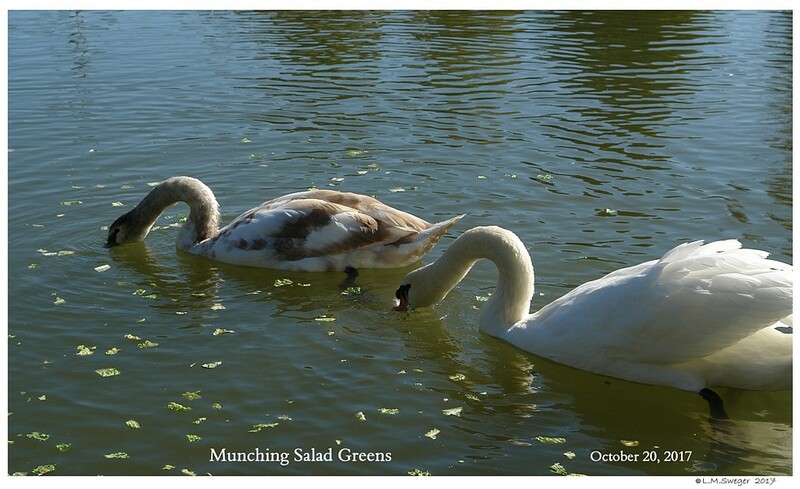 With the Pond Plants, Lawn Grass and Poultry Feed Mixture Swans will do nicely. 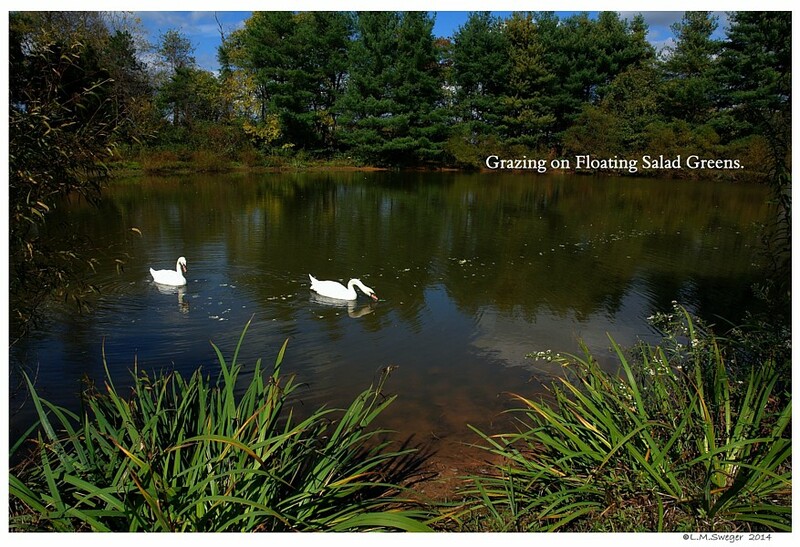 If Lawns that Surrounding a Pond are Treated with Weed and Insect Control Products and the Chemicals Run/Drain into the Pond they will affect the Natural Pond Environment. 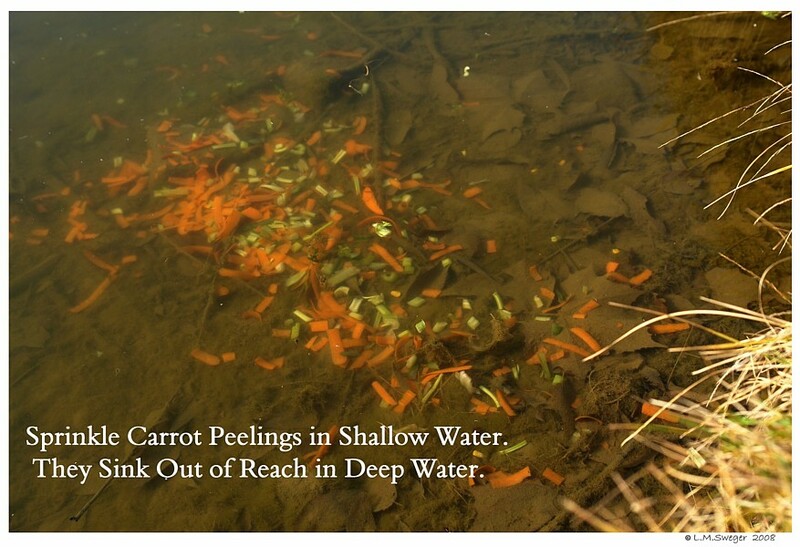 There may be very few Under Water Plants and Few Insects. 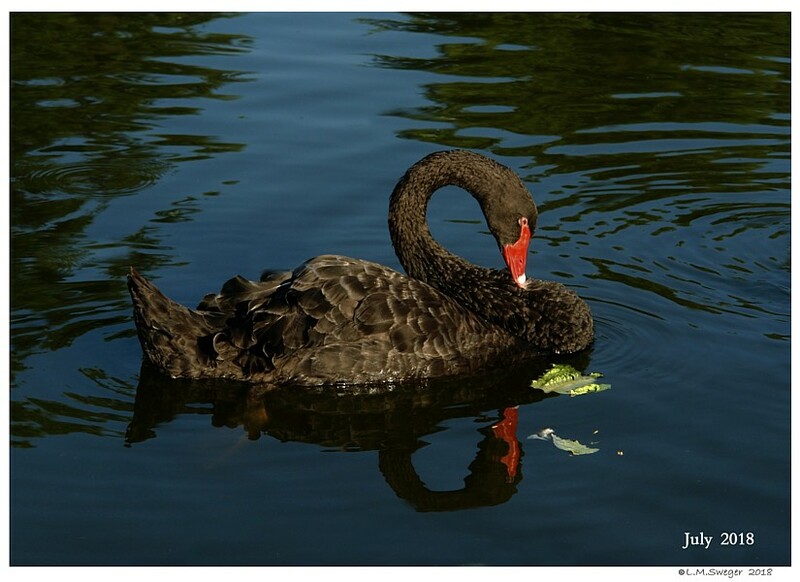 This is typical of Golf Courses, Hotel Grounds, College Campuses, Some Public Park Ponds and many Private Lawns. 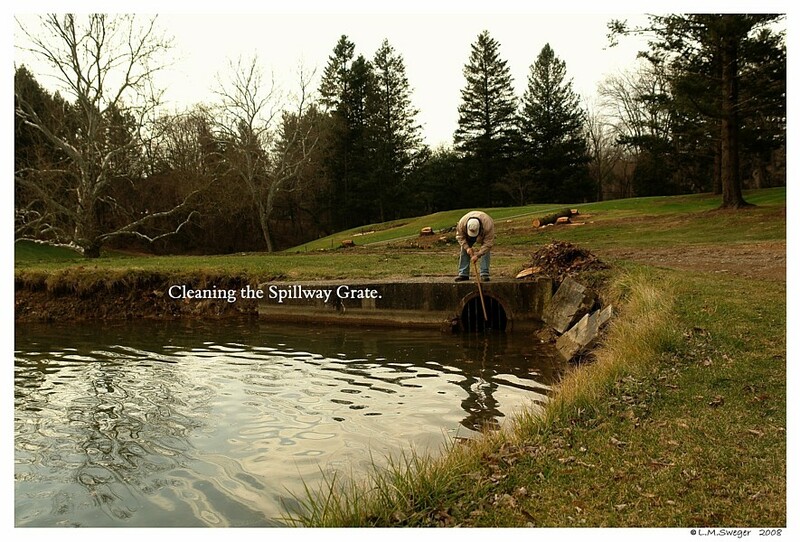 If you use Lawn Care Service or Treat your Lawn.. 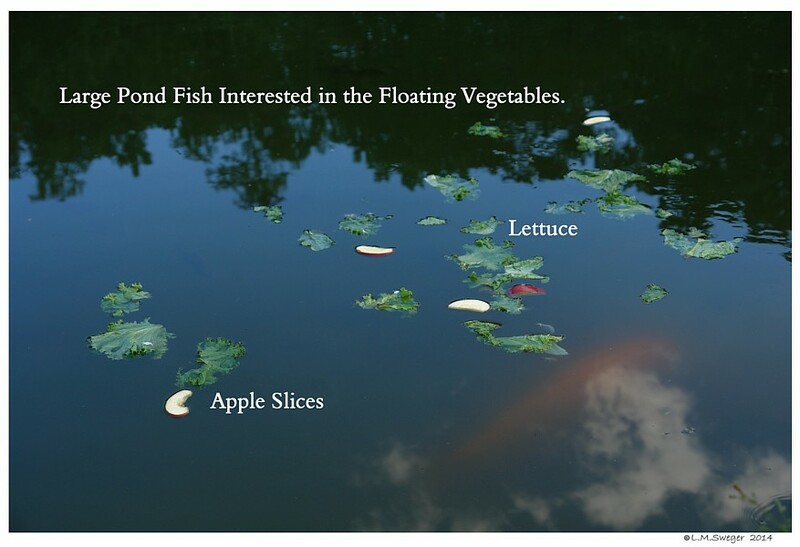 Check what is Growing in your Pond. 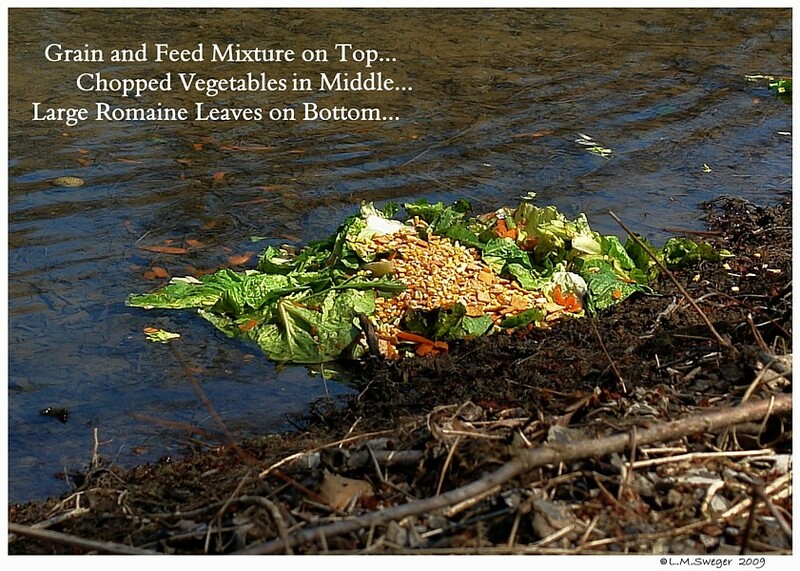 Putting Vegetables, Grains, Grasses into or onto your Pond may cause Obstruction where your Pond Drains. 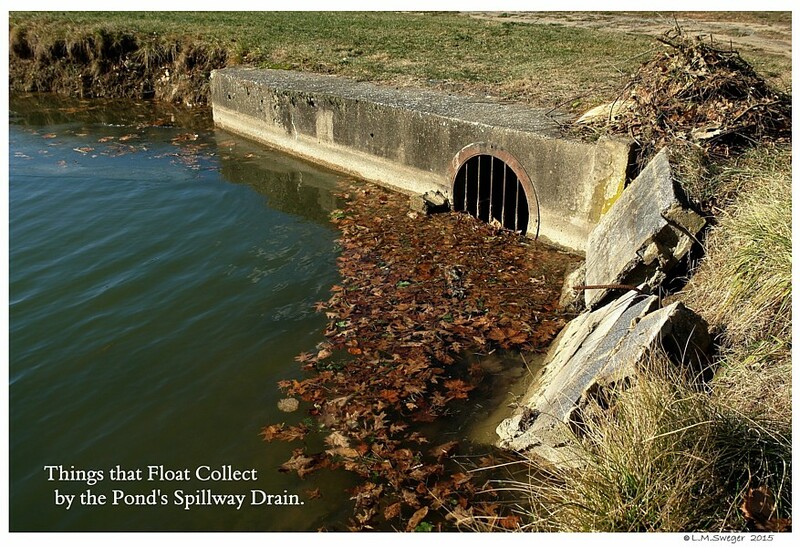 This Material may collect where you have a Pump Filter. 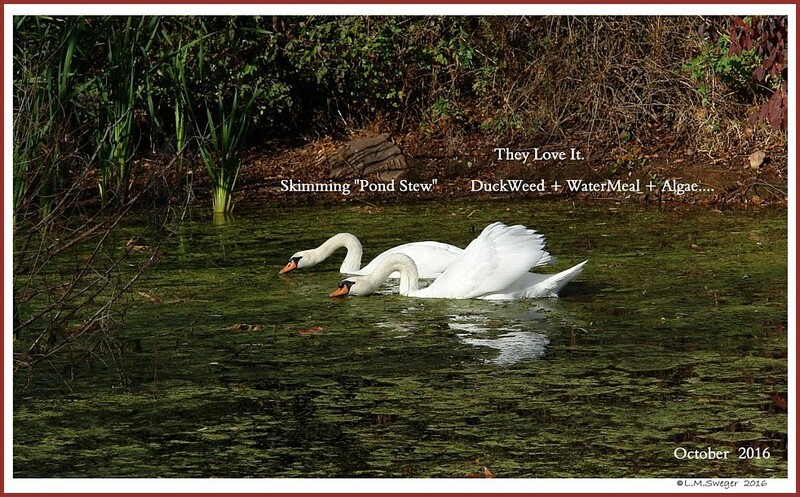 Start with small amounts, try different areas until you know want works best for your Swans and their Water Environment. 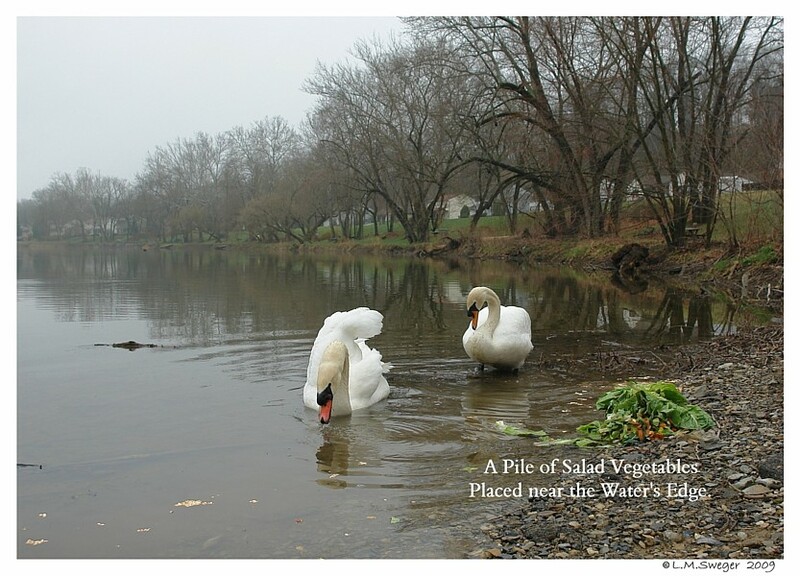 ADDING Vegetables, especially during Cold Weather Months will add to the Swans’ overall Healthy Diet. 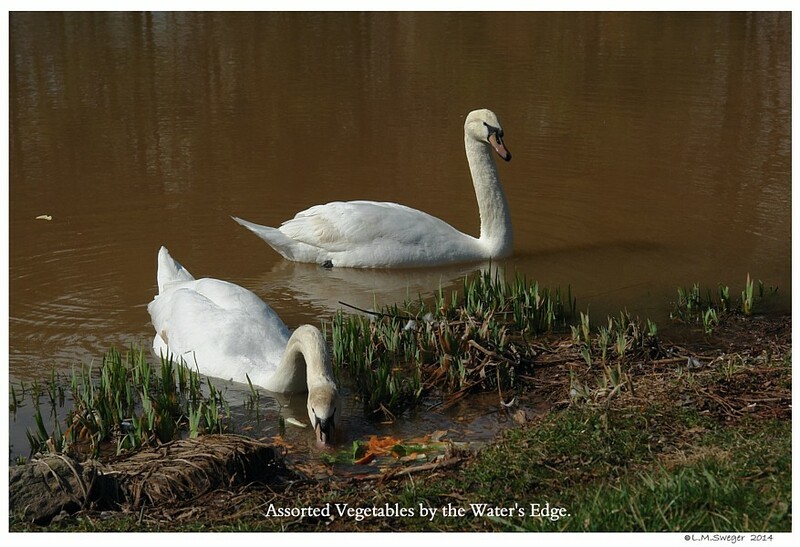 They will enjoy seeing you stop by their Water Environment to Visit, when you have Vegetables for them. “Thank You” – to the CC Kitchen Staff. 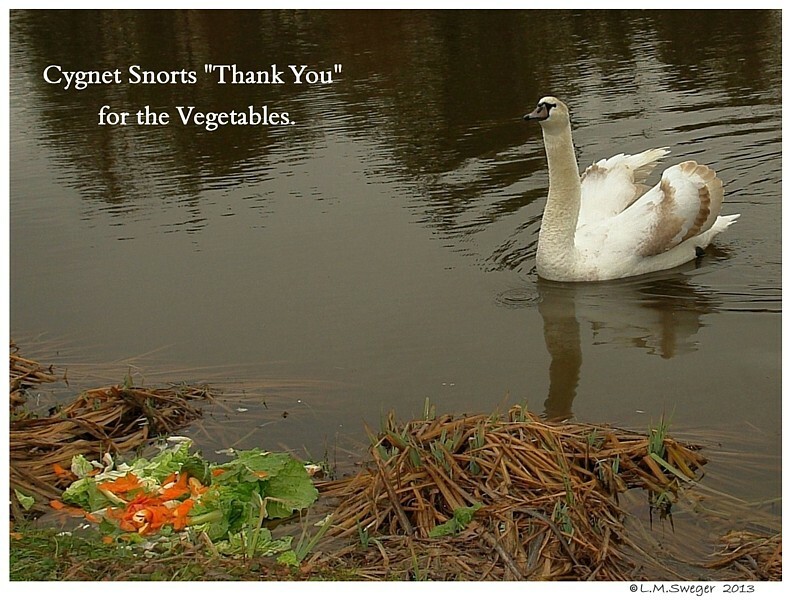 If you can make an Arrangement with a Restaurant, Farmers Market Vegetable Vendor, Grocery Store Salad Bar, etc., you will Save Money and You will have Happy Swans. 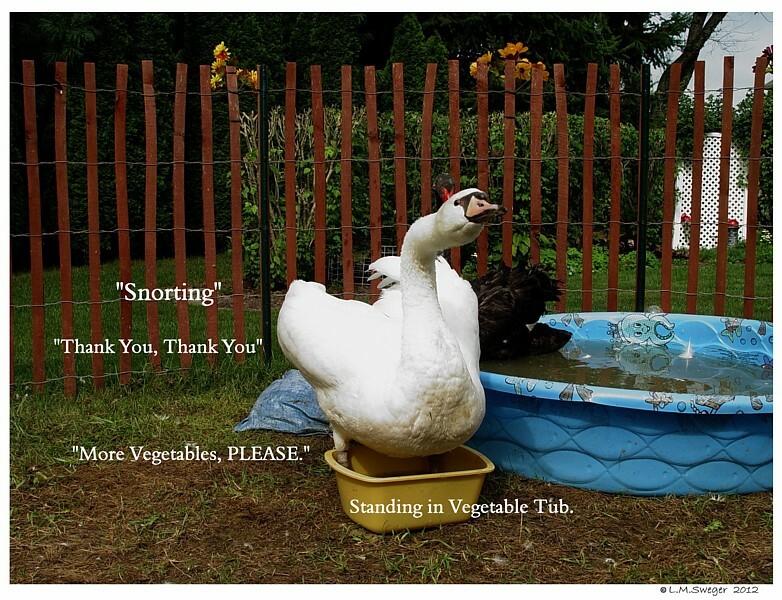 They do not need Vegetables Everyday. But are Happy for them. DO NOT GIVE THEM ANY MOLDY VEGETABLES. 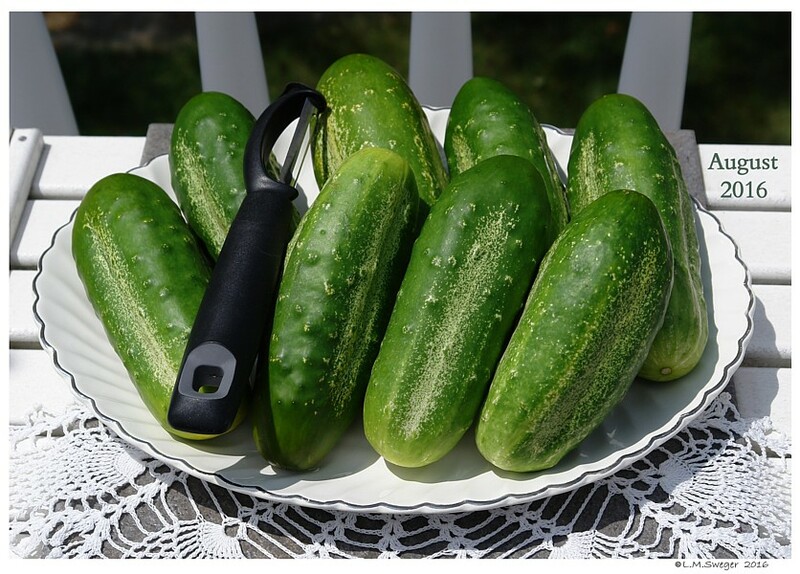 Vegetables help add Fiber to their Intestinal Tract during the Winter. 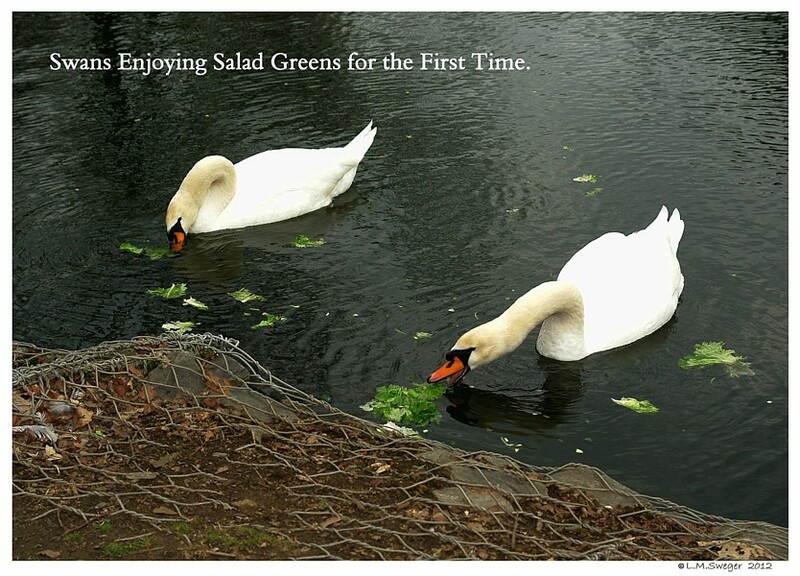 Most Swans will Instinctively KNOW Lettuce is GOOD to Eat. 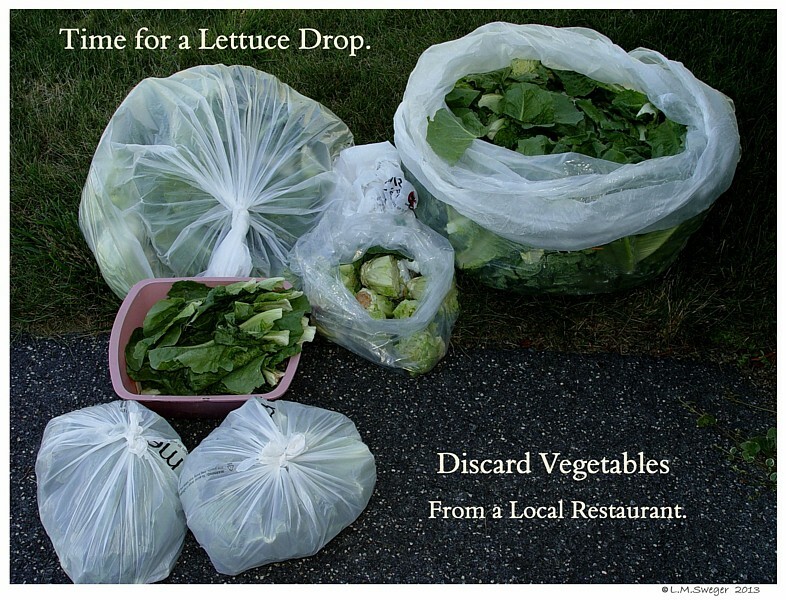 When you are preparing a Salad for your Dinner, save the Trimming that you would normally toss.. 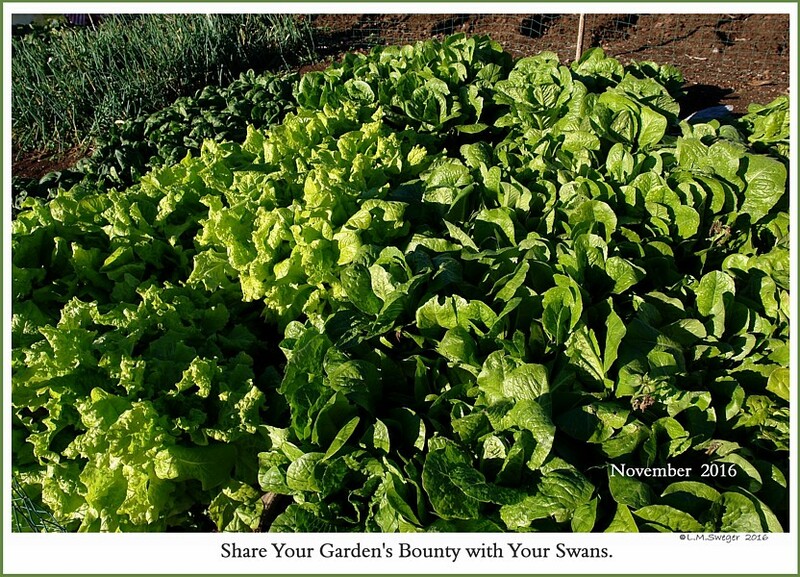 Vegetables are more Beneficial in the Cold Winter Months when Water Plants and Grasses are Dormant. 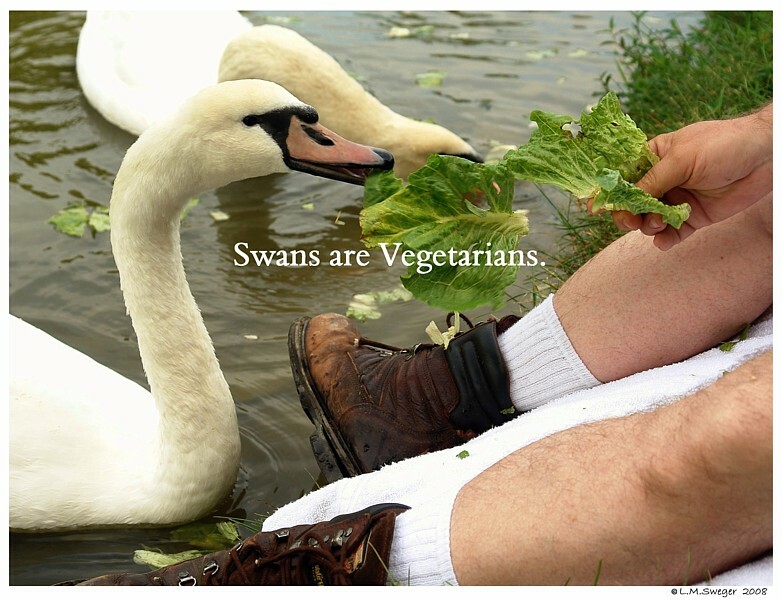 Remember Swans DO NOT have Teeth. 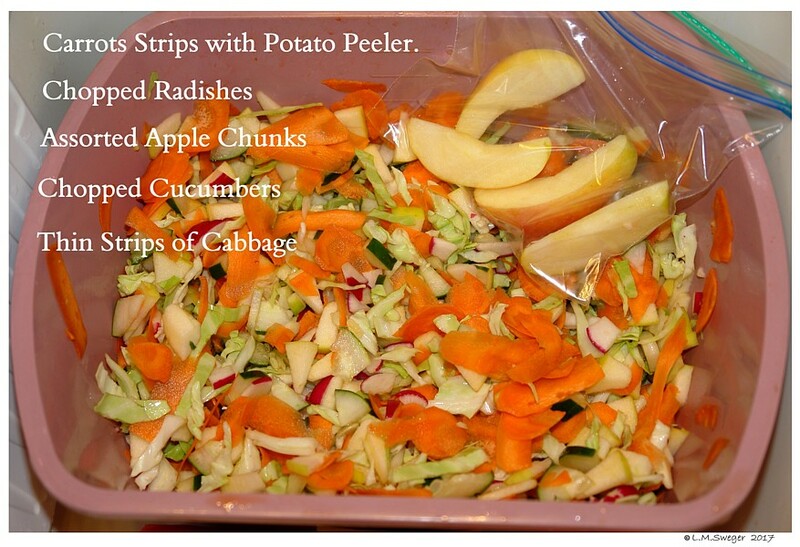 Chop or Slice Firm Root Vegetables THIN. 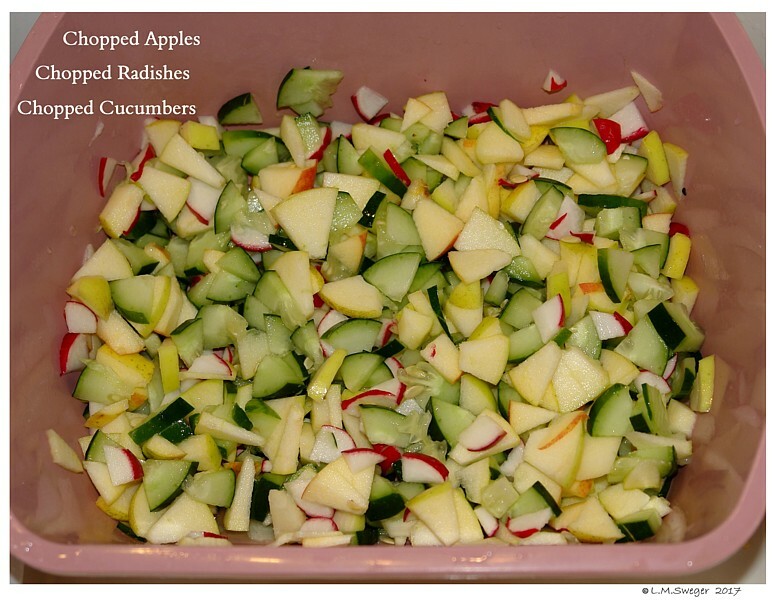 Cut into Small Pieces: Carrots, Radishes, Cucumbers and their Peels. I Like to Chop Enough for Several Day.. Bag..Ready to Go. The White Cabbage Leaves Sliced into thin Strips.. The Outside Dark Green Cabbage Leaves are too Tough. The Yellow-Green Leaves of Celery might be eaten. 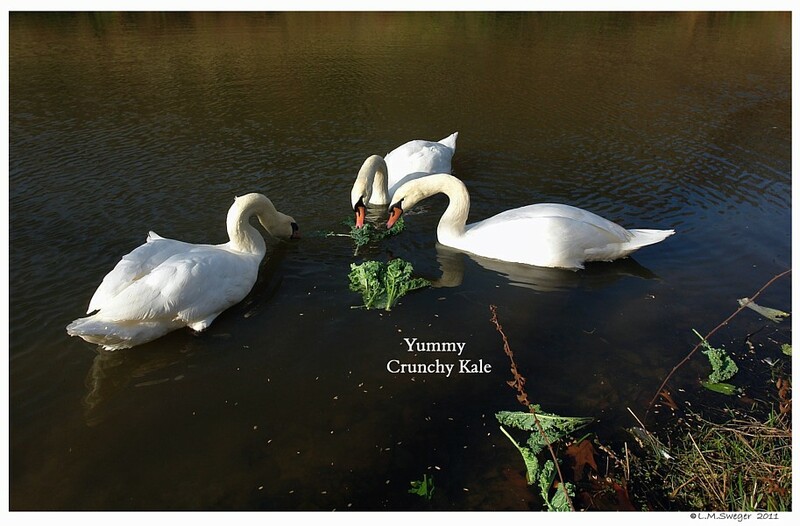 Some Swans Love Kale & Spinach. Green Beans, Cabbage, Cauliflower & Broccoli. Cut Seedless Grapes in Half. Strawberry Caps. – left close to the Water’s Edge. 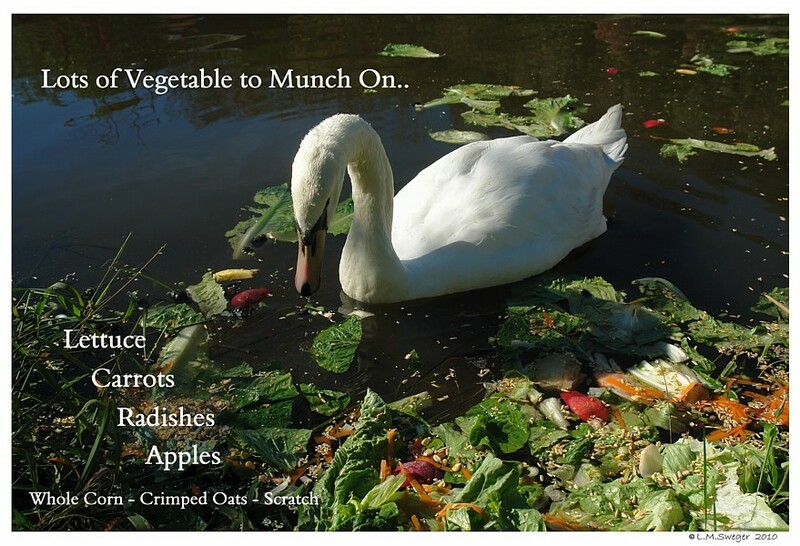 Discard them so Swans will not be Stung !! 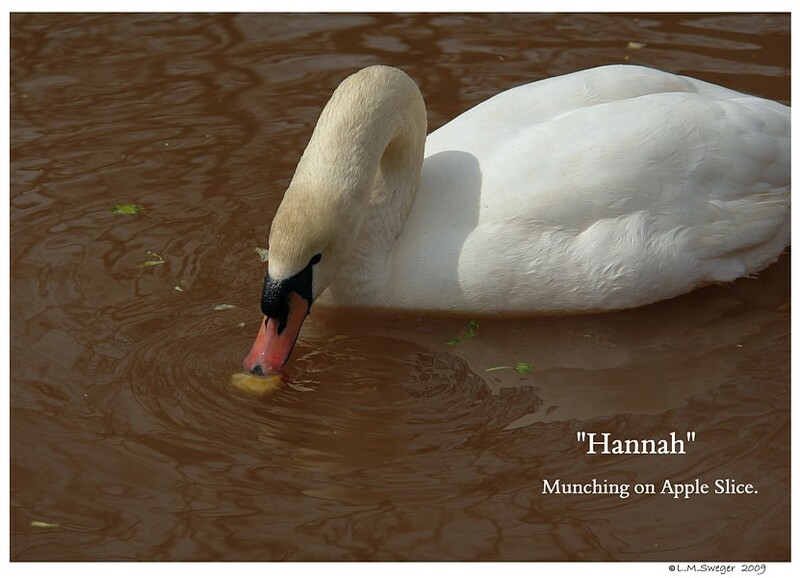 Cut Unpeeled Apples Cut into Quarters or Slices for Adult Swans.. 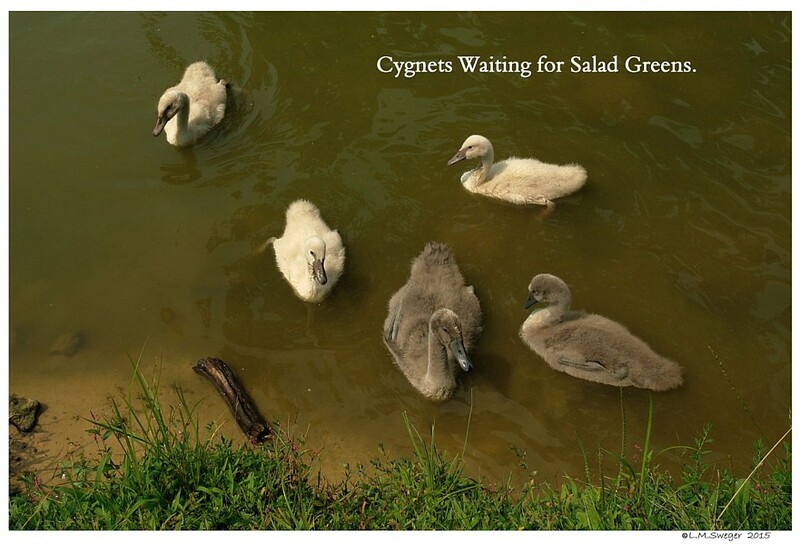 Chopped for Cygnets. They can NOT Bite into a Whole Apple. 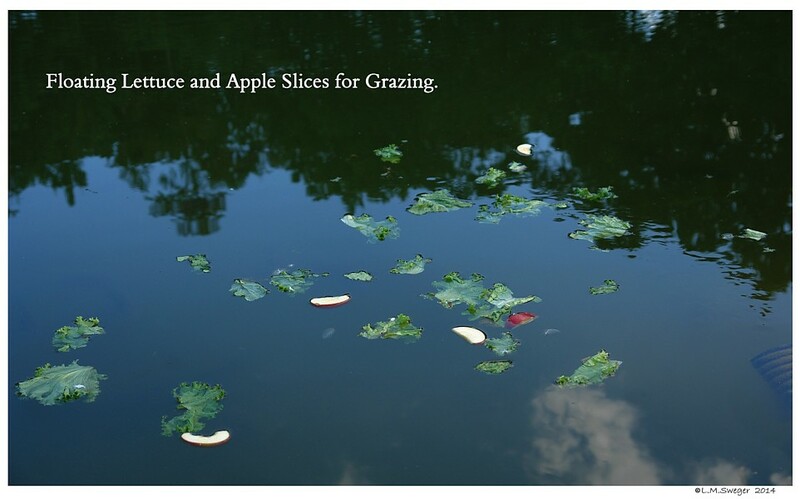 If you have Apple Trees (Untreated) Toss a few Fallen Apples onto the Pond. 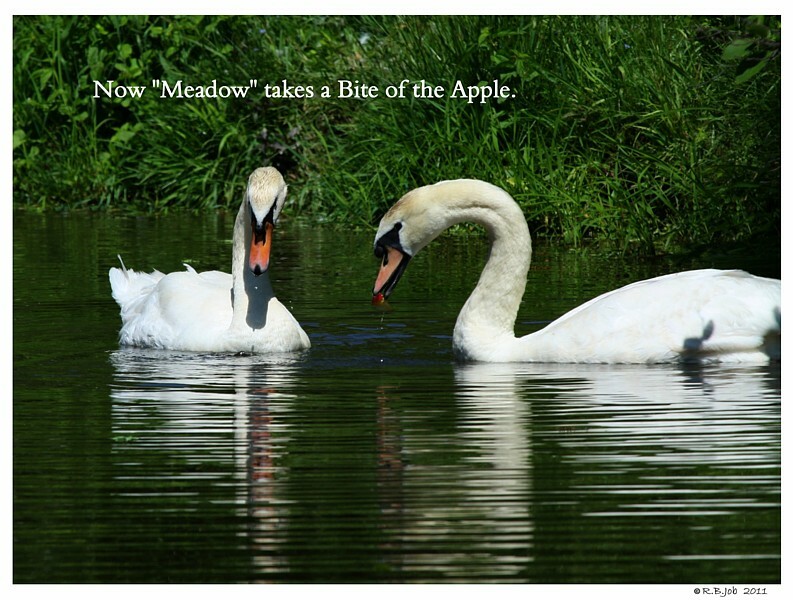 Break them Open first, the Swans can not Bite a Whole Round Apple. 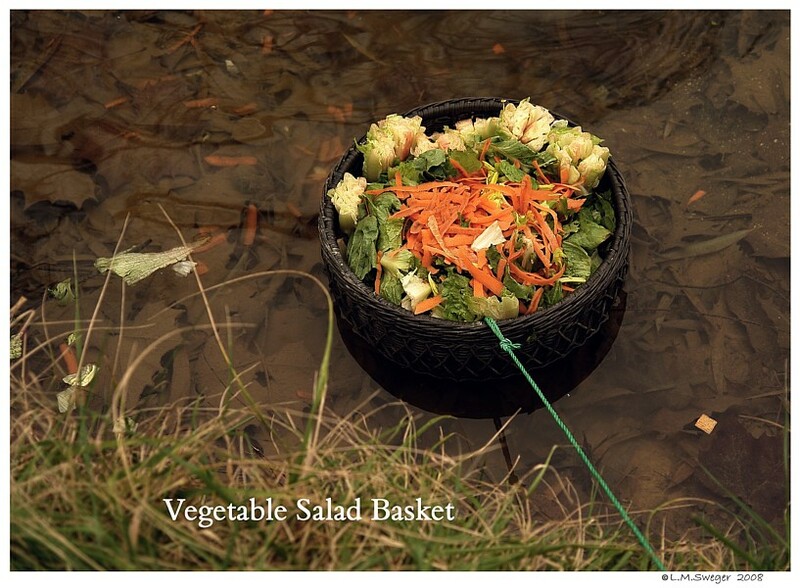 If there are Fish in your Pond that Eat the Vegetables.. try Putting the Veggies into a Stone Weighted Basket in Shallow Water. 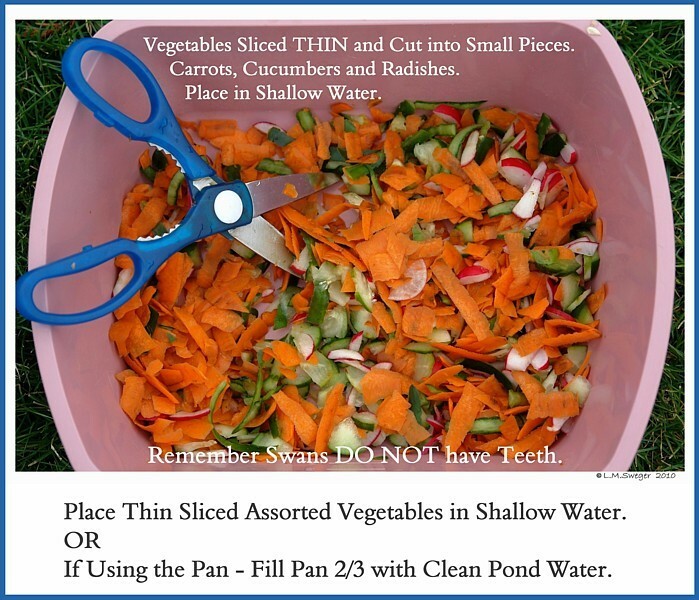 After 24 Hours, dump and let the Fish have them..
Watch which Vegetables/Foods Float and which SINK. 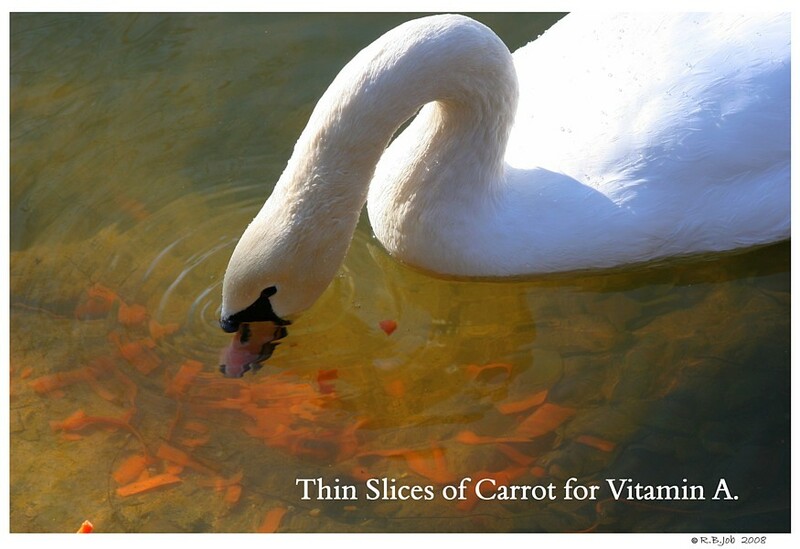 like Thin Slices of Carrot in Shallow Water. 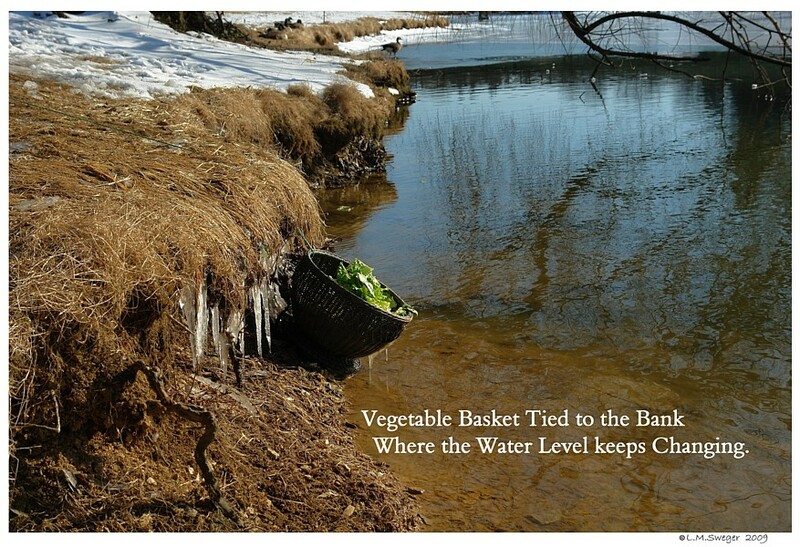 Whole Dry Corn is a Favorite Sprinkled into Shallow Water. 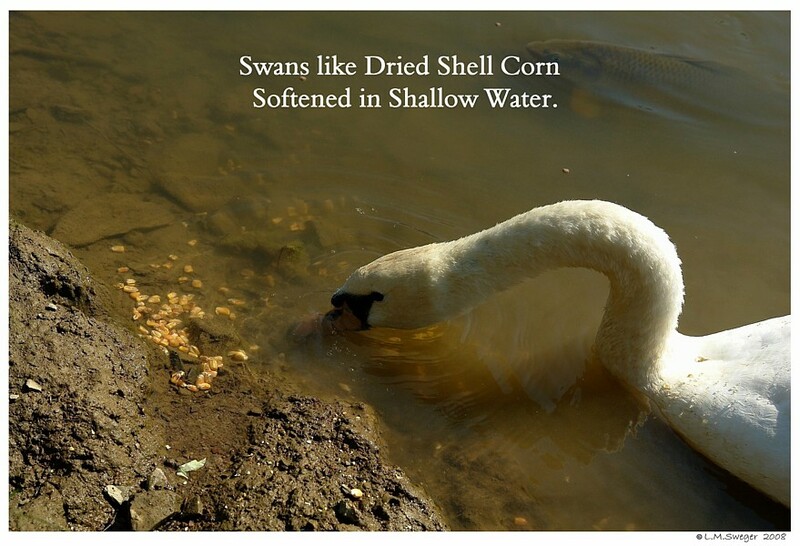 Whole Dried Corn will Soften a bit in the Water..
Swans seem to like it Soaked in the Water for a few Minutes. 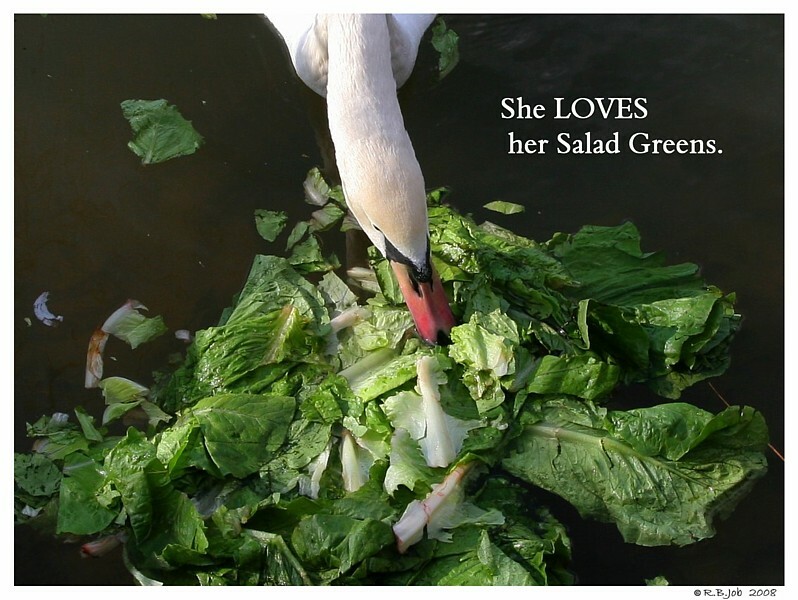 Swans will Generally Eat All types of Lettuce. 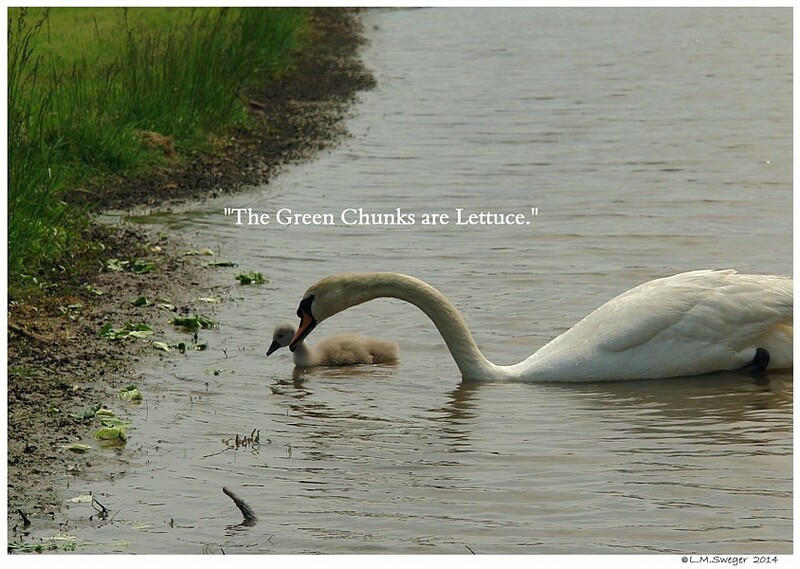 Not all types of Lettuce are Equal. 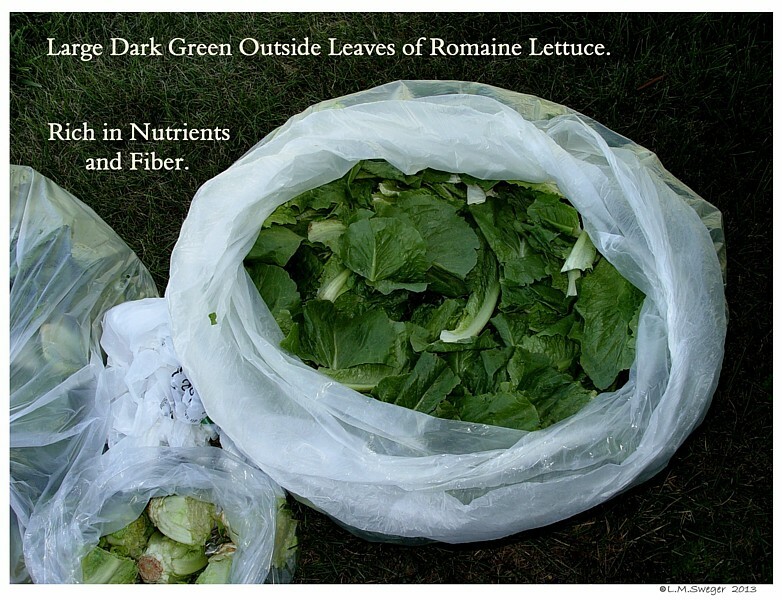 Romaine Lettuce has the MOST Nutritional Value. 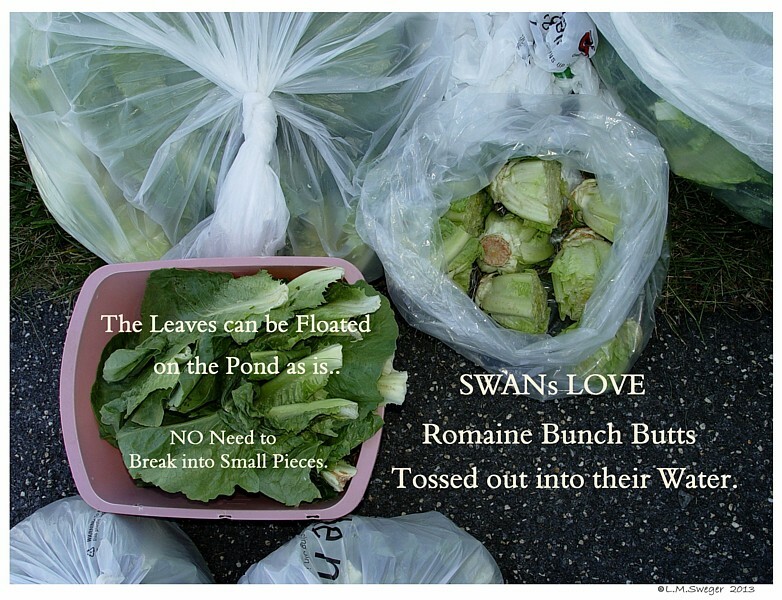 Swans Love Romaine Bunch Butts. 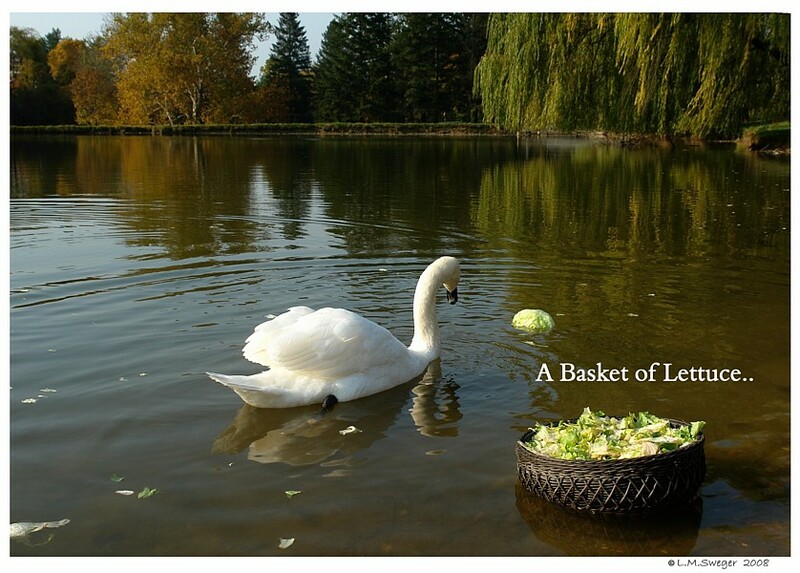 Toss them out onto the Pond. 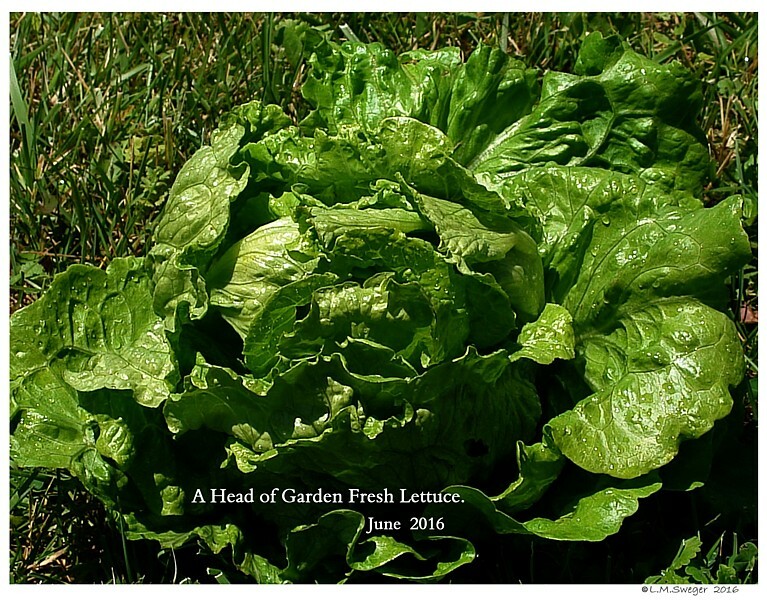 Romaine Lettuce Bunches have Long Dark Green Outer Leaves that are generally Discarded. These Large Dark Leaves have the MOST SunShine Nutrients !! a Good Source of Dietary Fiber, Multiple Vitamins, Minerals and Tryptophan. Romaine Lettuce has measurable Pro-Vitamin A (Carotenoid-Betacarotene), Vitamin K, Folate-Folic Acid, Vitamin C, Vitamin B1, Vitamin B2, Vitamin B3 (niacin), Vitamin B6 (pyridoxine). 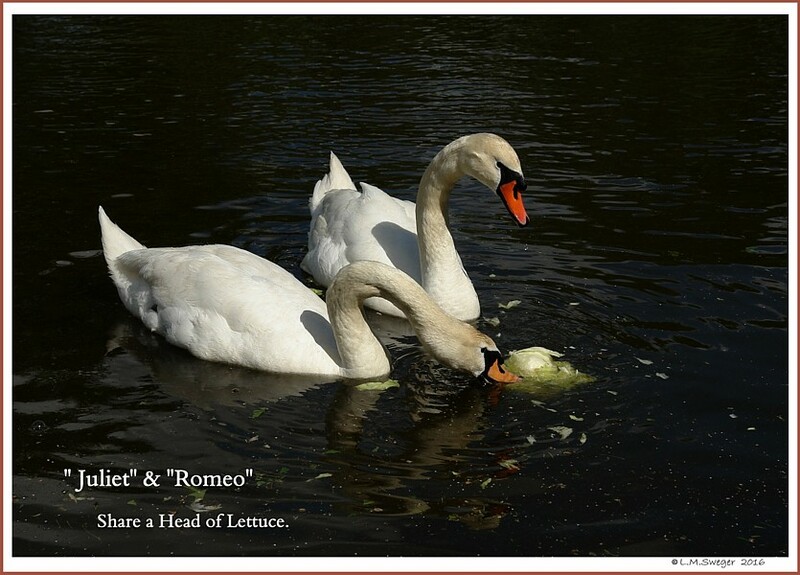 Romaine Lettuce contains the Minerals Manganese, Chromium, Potassium, Molybdenum, Iron, Calcium and Phosphorous. 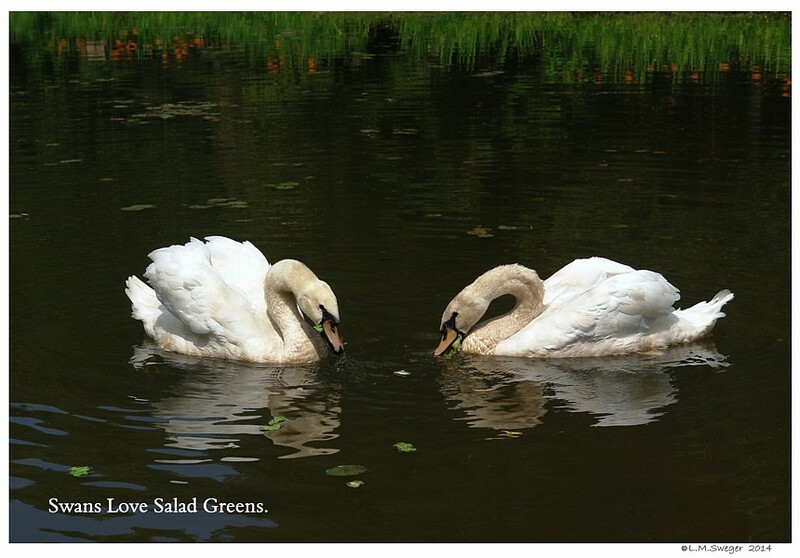 The fiber in Romaine Lettuce help keep the Swans’ Colon healthy. 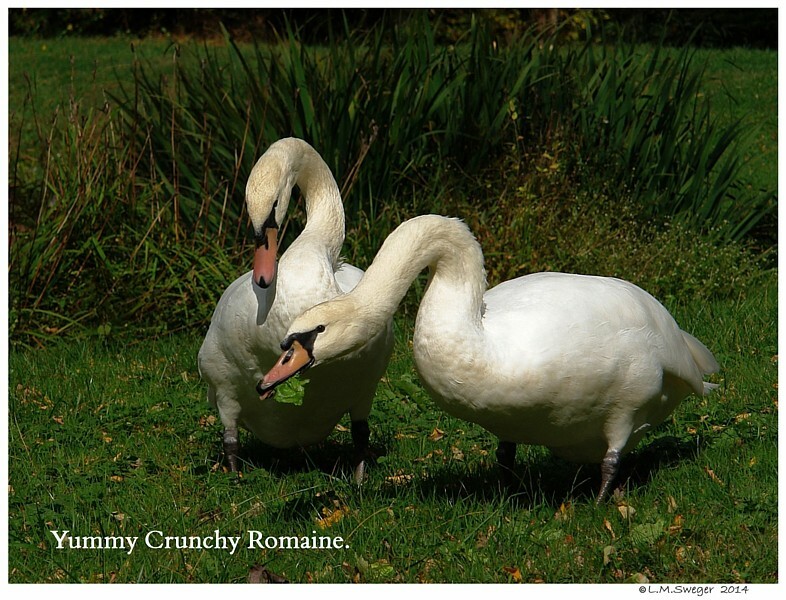 Romaine Lettuce contributes to a Healthy Diet for Swans. 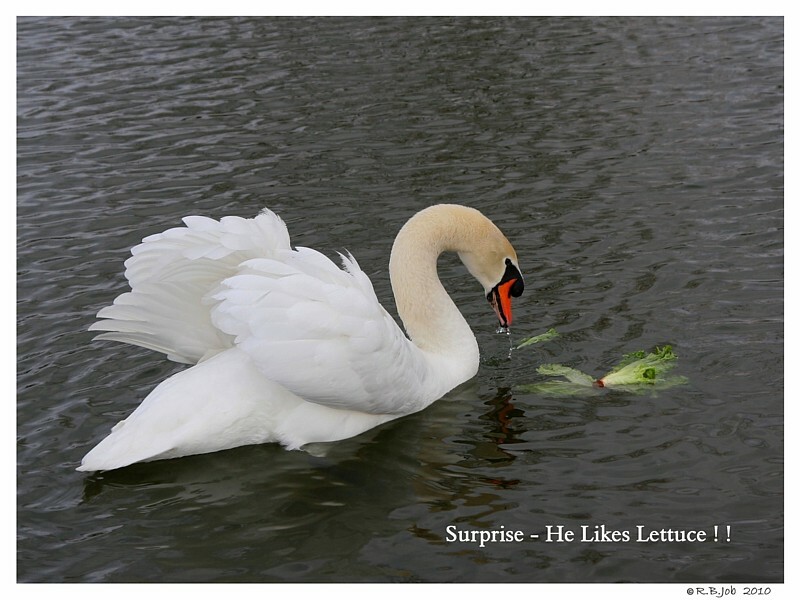 Iceberg Lettuce has little Nutritional Value. But, they Love it. SO…. 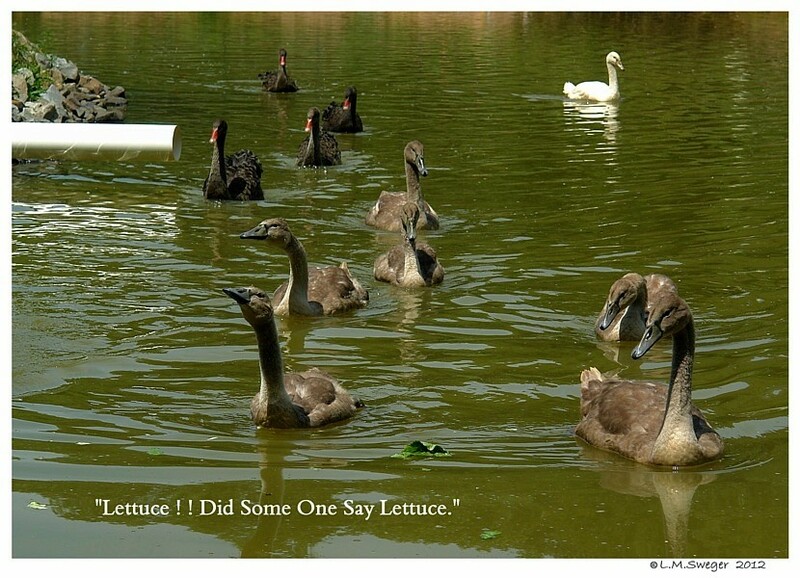 Romaine for a Healthy Diet… Iceberg for Fun ! 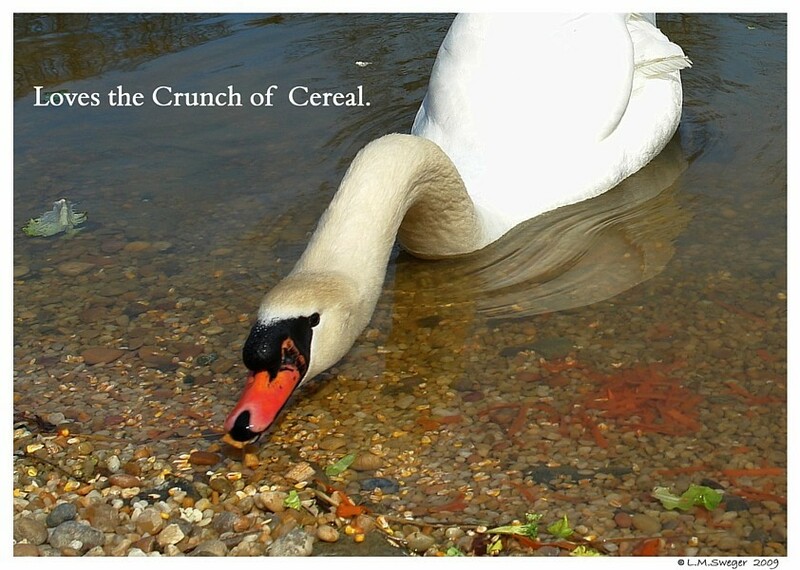 Swans will eat every bit tossed to them. 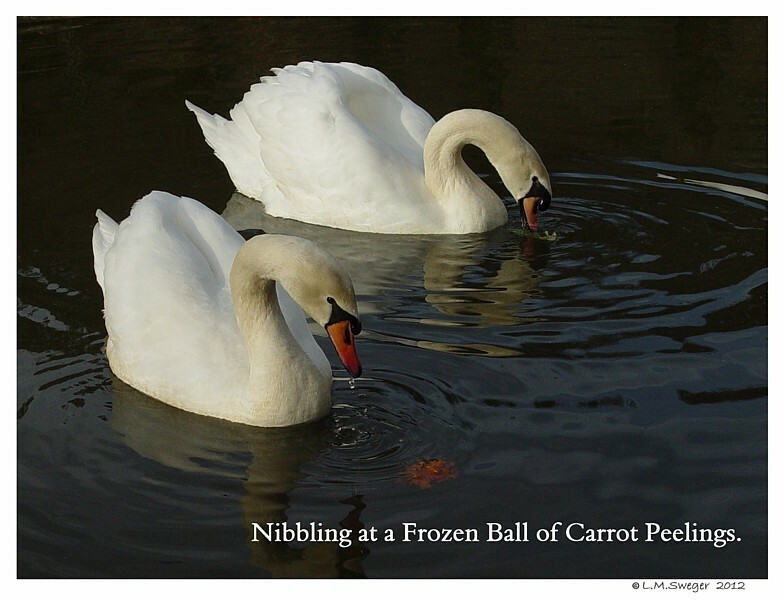 Toss a whole Head of Iceberg onto their Pond, the Swans will take turns biting “The Ball”. 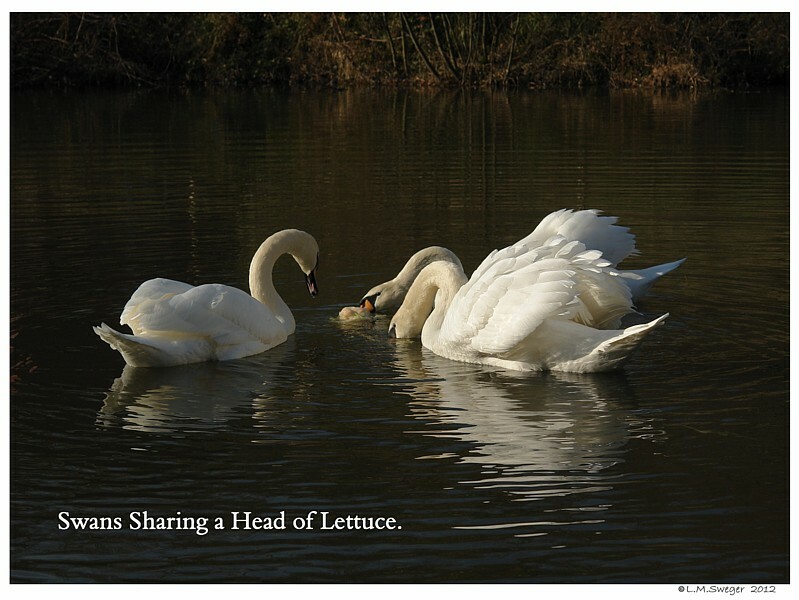 If you like Special Types of Lettuce.. and what you purchased will not be used by your Family…. OR you have more then you will eat. 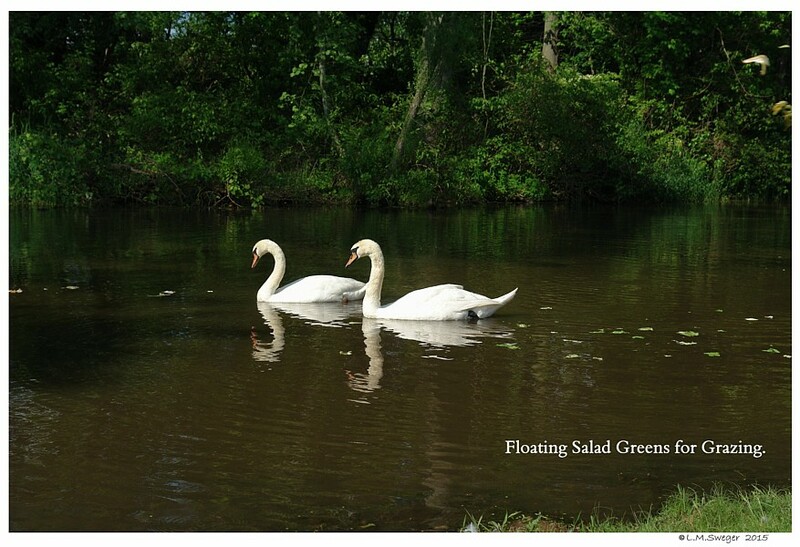 If is worth a try, rather then discarding the excess, Butter Head, Boston and Bibb Lettuces – Swans will eat these..
Plus Leaf Lettuces – Green Leaf and Red Leaf. 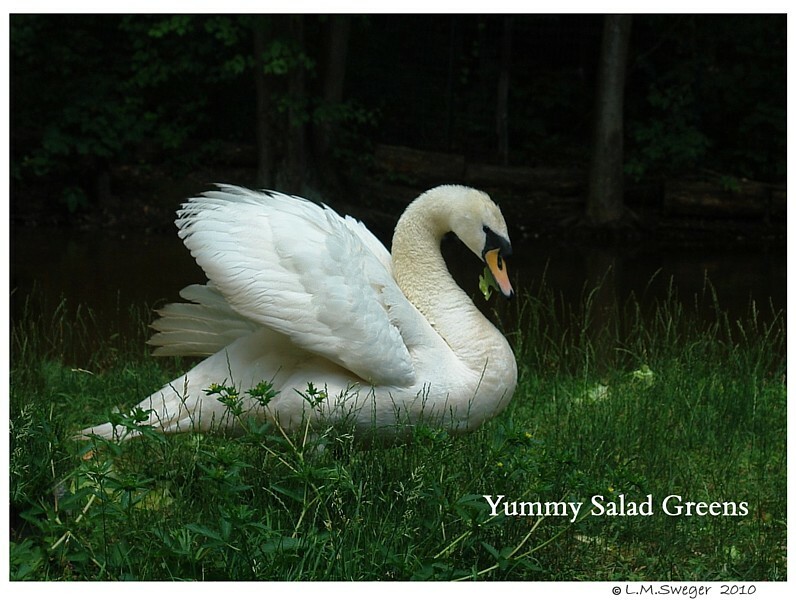 Leafy Vegetables like Arugula, Spinach and Watercress add variety. 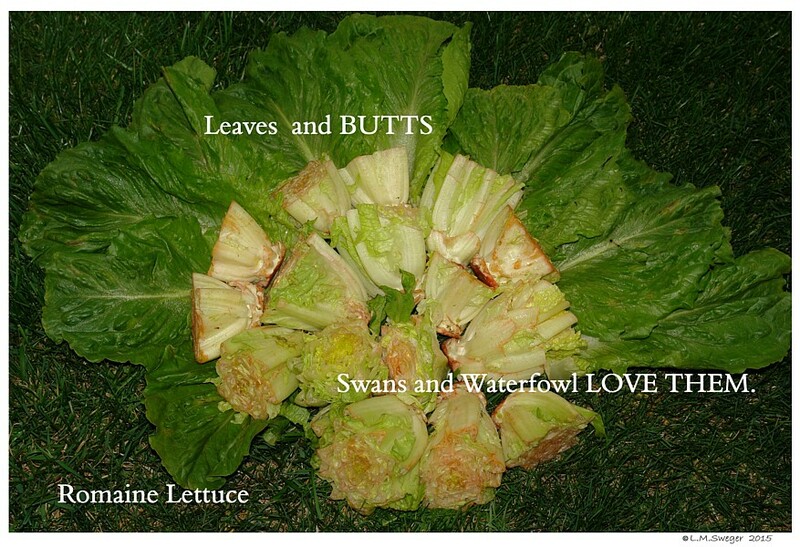 Swiss Chard Leaves were a Big Hit.. Collard Greens not so much..
Q: What Causes Lettuce to Turn Brown? 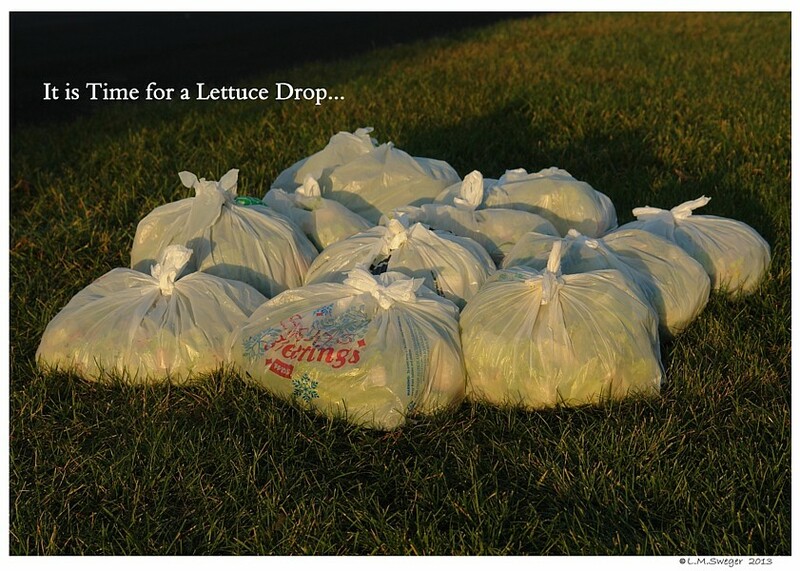 Lettuce is one Food that Pesticide Residues is commonly found. 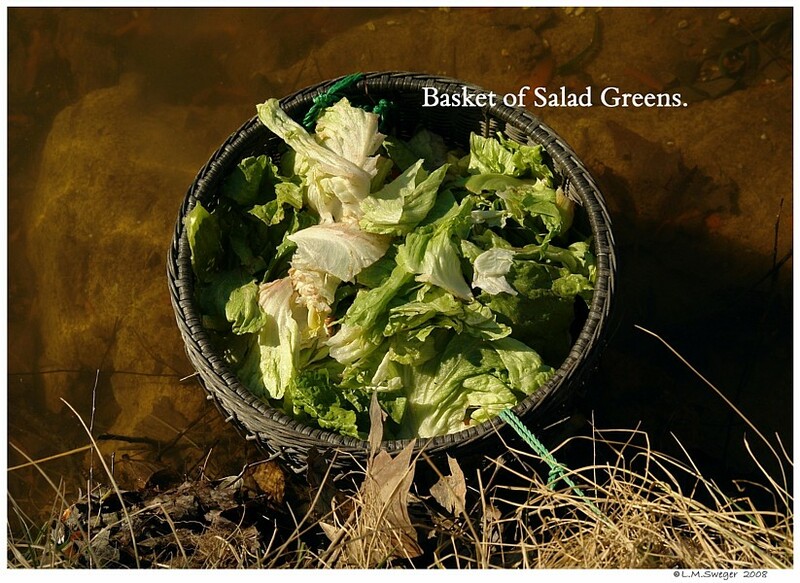 Virtually all Drinking Water in the U.S. contains Pesticide Residues. Pesticides are present in most Food in very small trace amounts. The Negative Impact on our Health is well documented. The Liver’s ability to process Toxins, the Body Cells’ ability to produce Energy and the Nerves’ ability to send Messages can all be compromised by Pesticide Exposure. 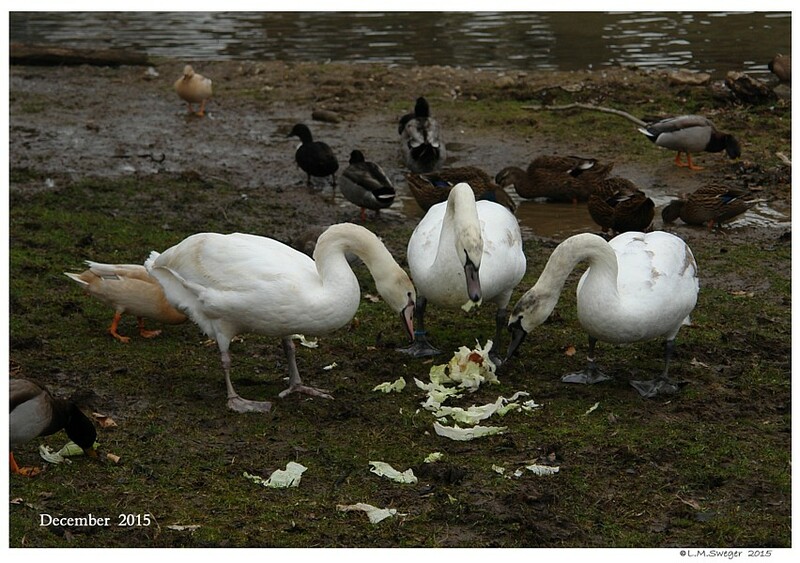 It is important to protect your Swans’ Liver.. by feeding them properly. 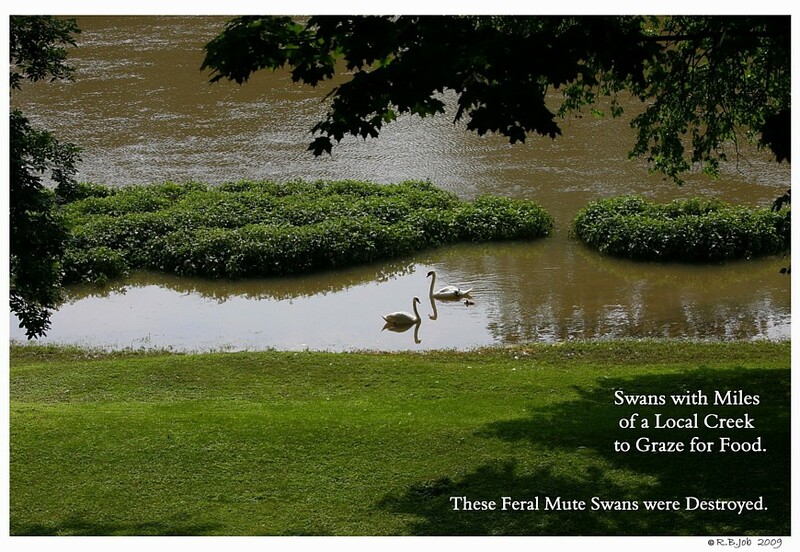 REMEMBER Swans need a Lower Protein Diet.. to protect their Liver. Then they will be able to DeTox what they Drink and Ingest. 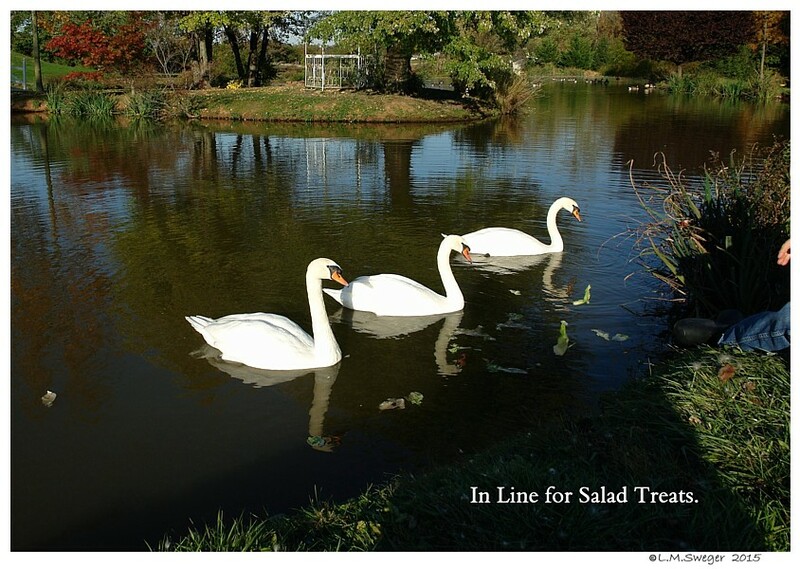 A Diet High in Protein will cause Fatty Liver Disease and GREATLY shorten your Swans’ Lives. 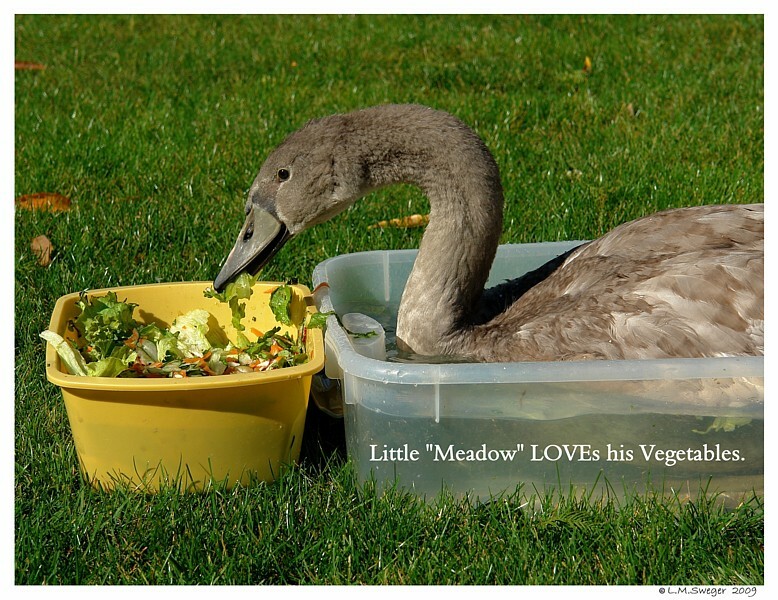 Swans with Fatty Liver Disease – Lipidosis look Full Body and Healthy. But, they are developing High Blood Pressure and Kidney Disease.. They will suddenly, without warning Die of a Stroke, Heart or Renal Failure. 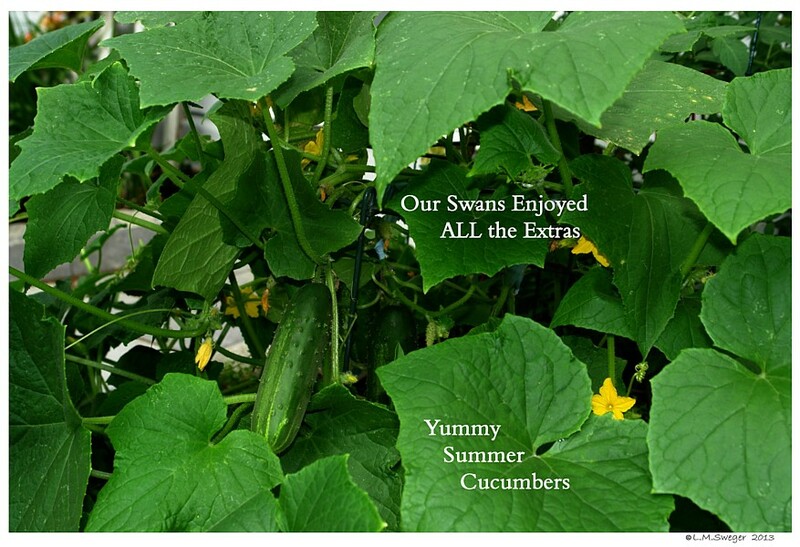 The Images here have mainly the Vegetables we have shared with our Swans. 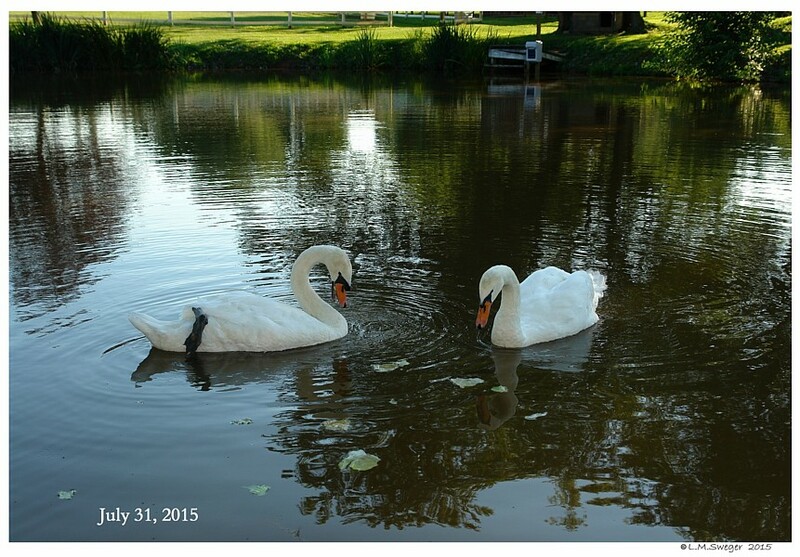 It is Relaxing to Spend time with Swans.. 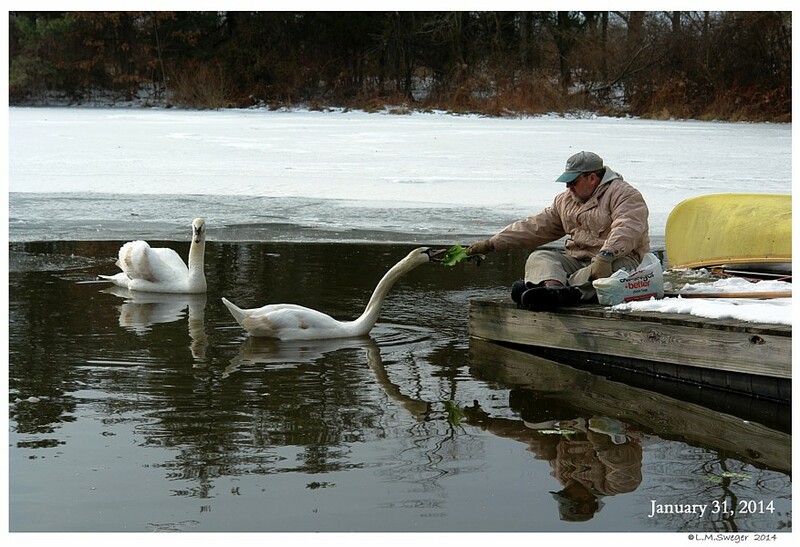 Feeding Swans on the Ground is Environmentally unsound and encourages the Swans to leave their Water. 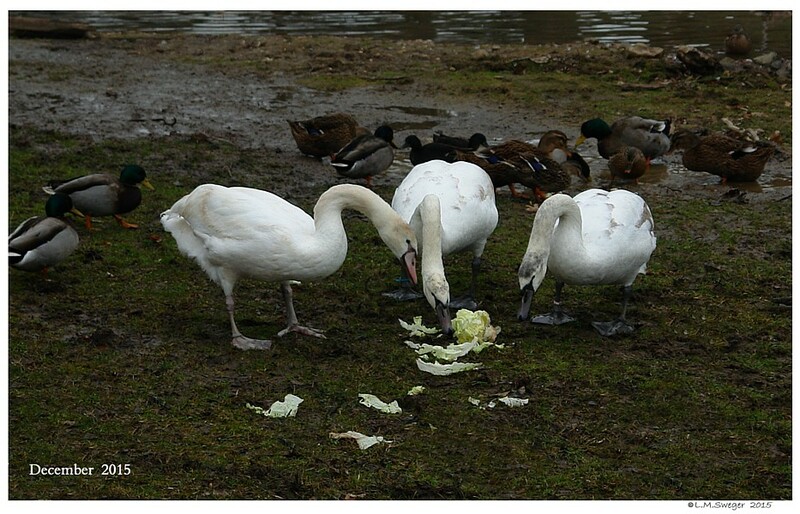 Food left laying on the Ground may develop MOLD which can be FATAL to the Swans. 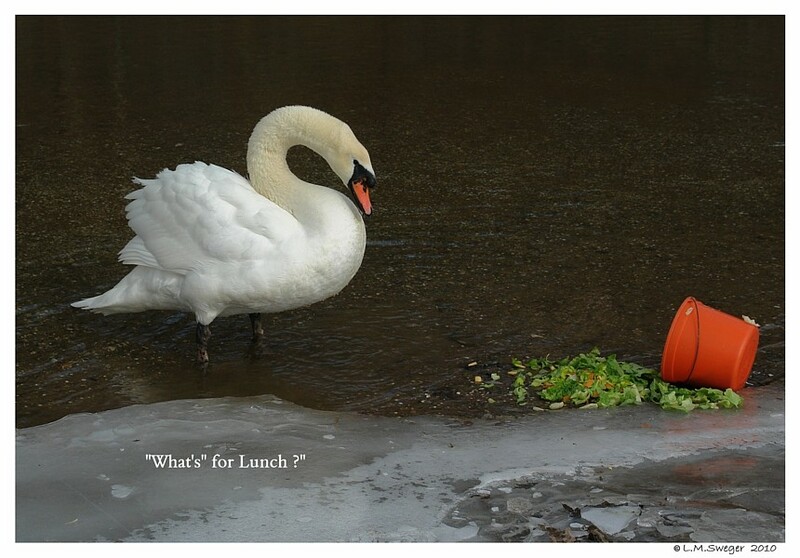 BEST to keep all Food item at least along the Water’s Edge. 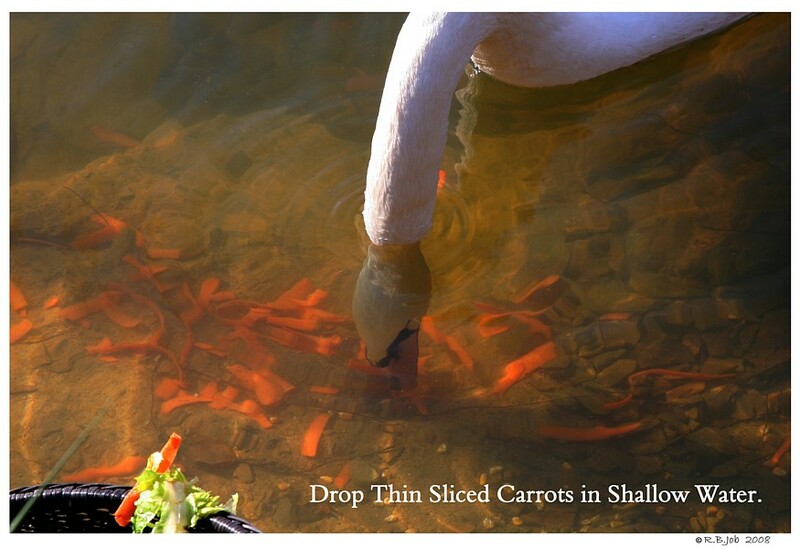 Placing any Food in the Water close to the Water’s Edge allows the Swans to see the Foods that sink (Corn/Carrots)… and there is less chance they will be surprised by a Snapping Turtle. 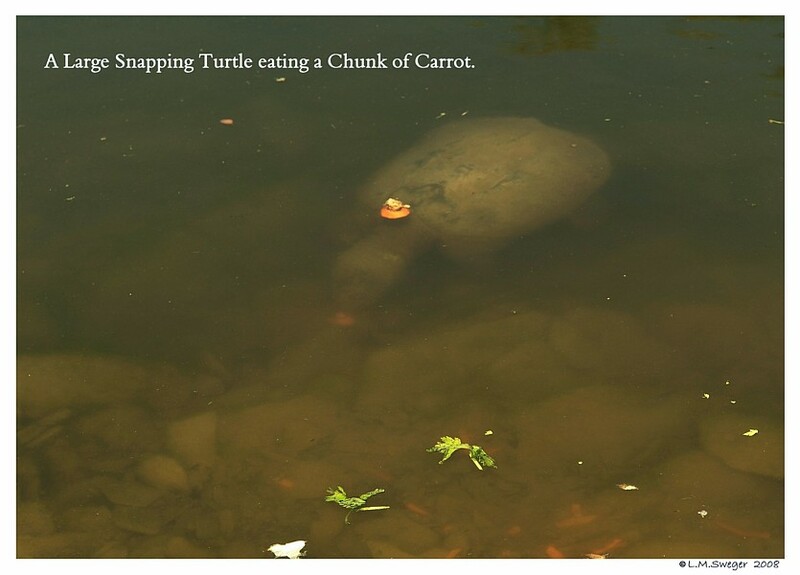 BEST to REMOVE Snapping Turtle from Your Ponds. 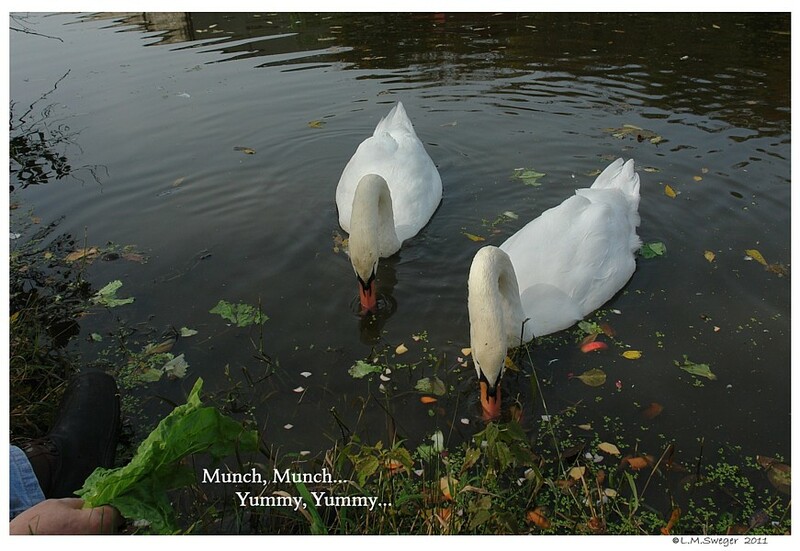 Fish and harmless Turtles will get to know where you commonly feed the Swans and will often wait close by to clean up the Leftovers. This is helpful, there is nothing left to Sour or Rot. 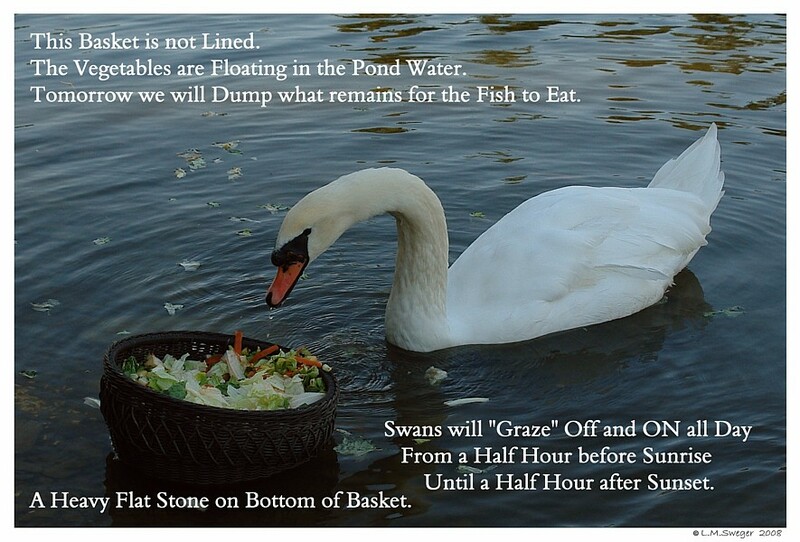 WE DO NOT FEED OUR SWANS OUT of their WATER/Pond. 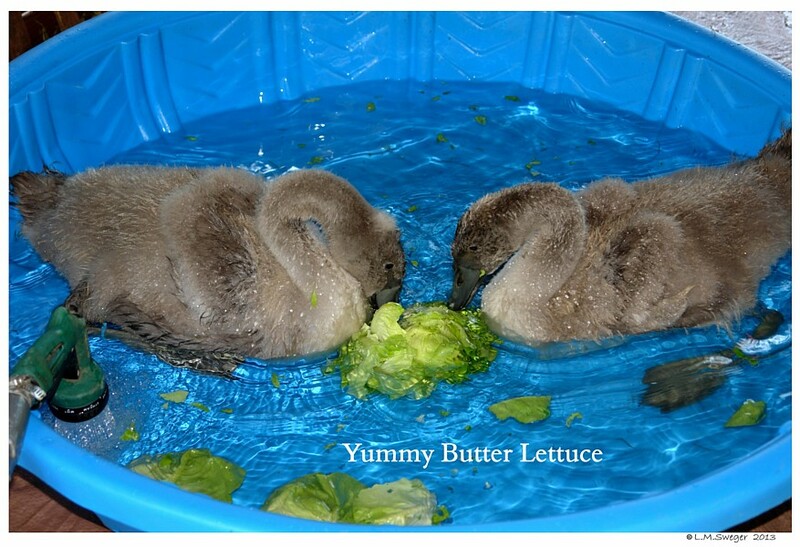 We find ways to place all their Food in their Water. 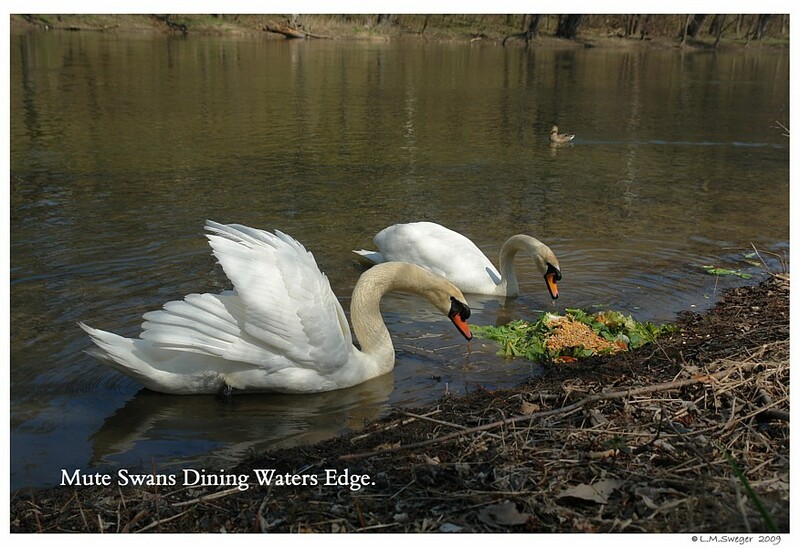 If Swans have to leave their Water to eat they become vulnerable to Predators, Dogs, Cats, People. 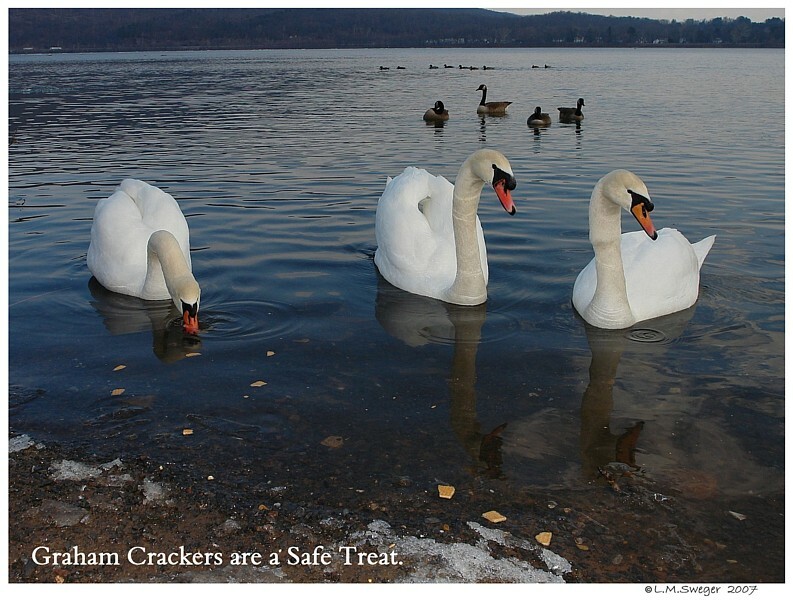 Swans in the Water are SAFER. It is also more Natural for them. 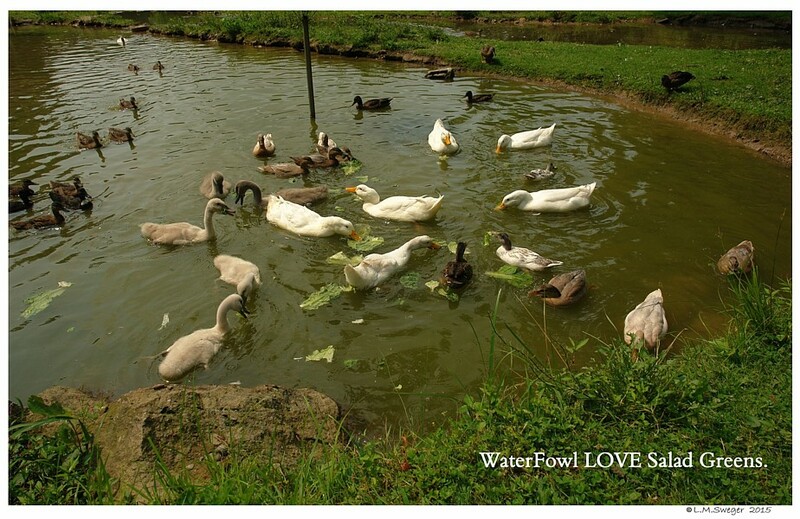 Feeding from Containers is a challenge where the water level changes quickly. Be creative. DO NOT place Feed Containers on HOT Surfaces. Remember, in the Summer many surfaces GET HOT!! 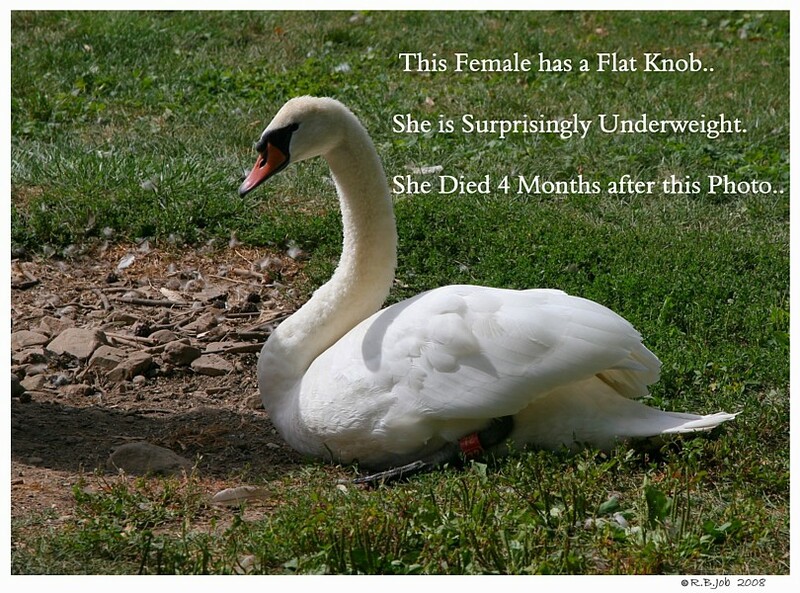 A Swan’s BIG Flat Feet may BURN and BLISTER…NOT GOOD !! 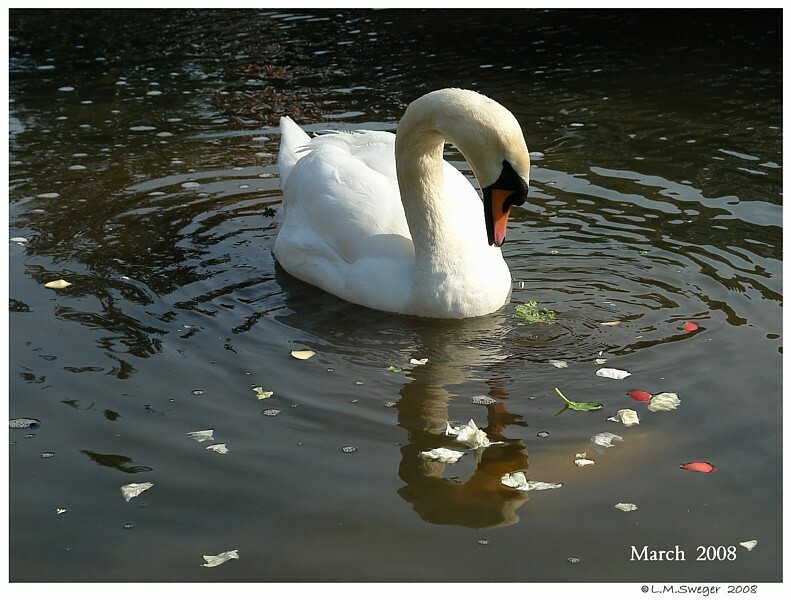 In the Bitter Cold Days of Winter, a Swan’s WET Feet can stick to Icy Surfaces.. just like our Skin would. 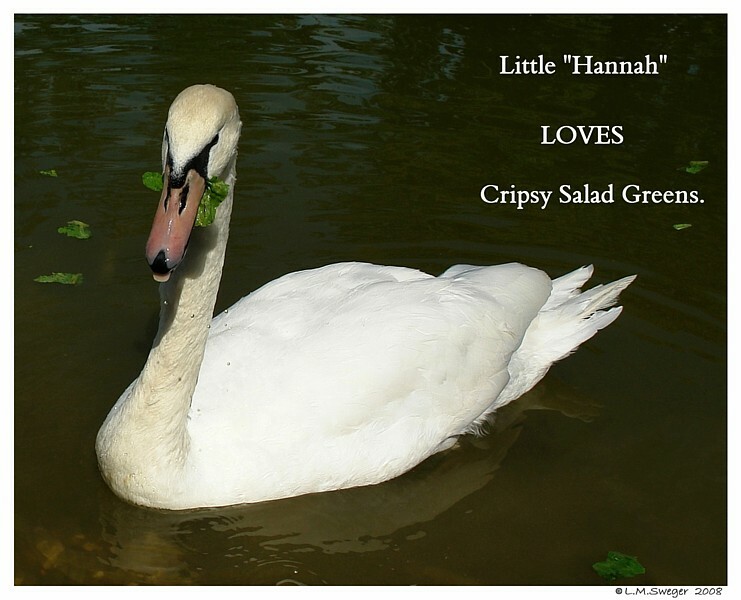 Swan are Safest in Liquid Water. 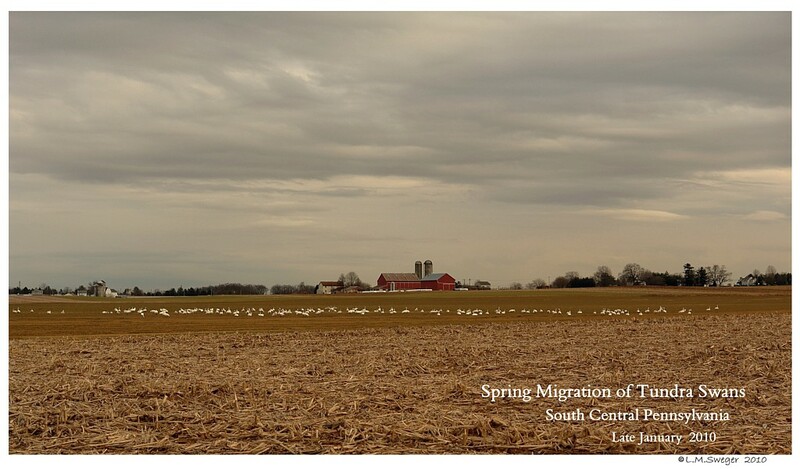 By the end of October there will be very little for the Swans to eat in the River/Lakes/Ponds/Creeks of Pennsylvania. 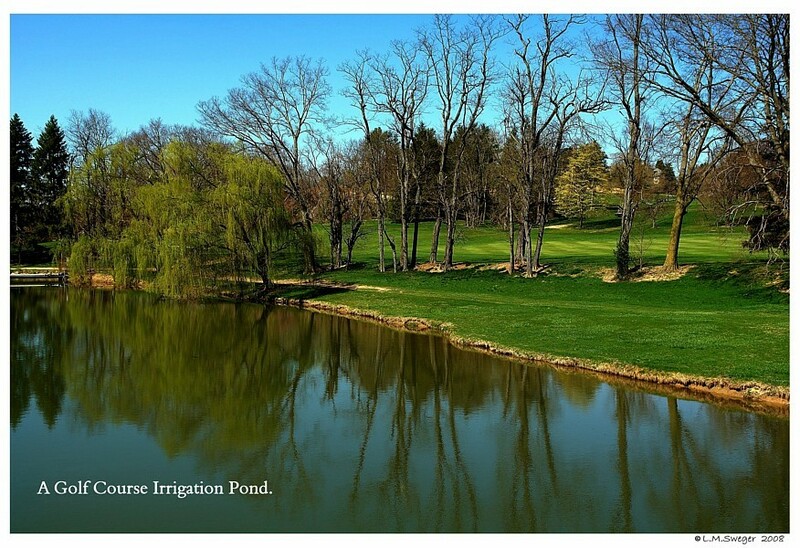 Most Underwater Vegetation will become Dormant for the Winter Months. from Halloween to St. Patrick’s Day. 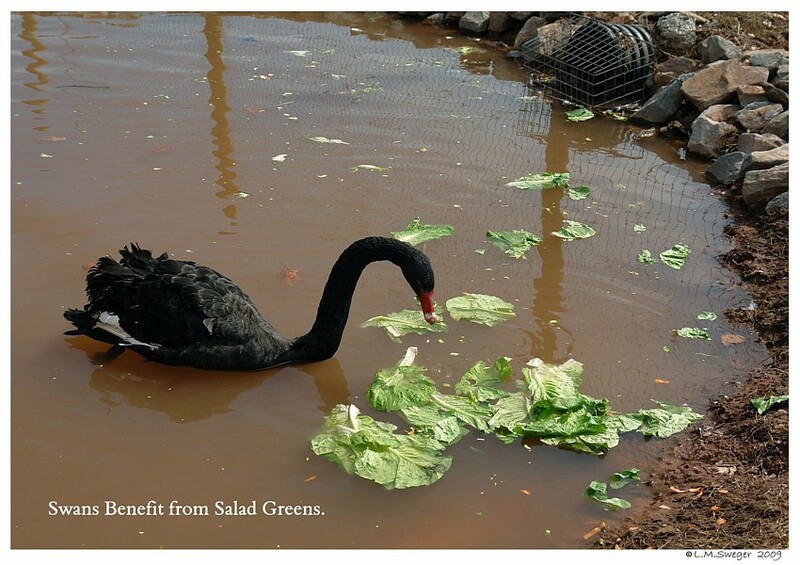 I have observed Swans trying to eat the dark, decaying remains of underwater plant material – YUCK! 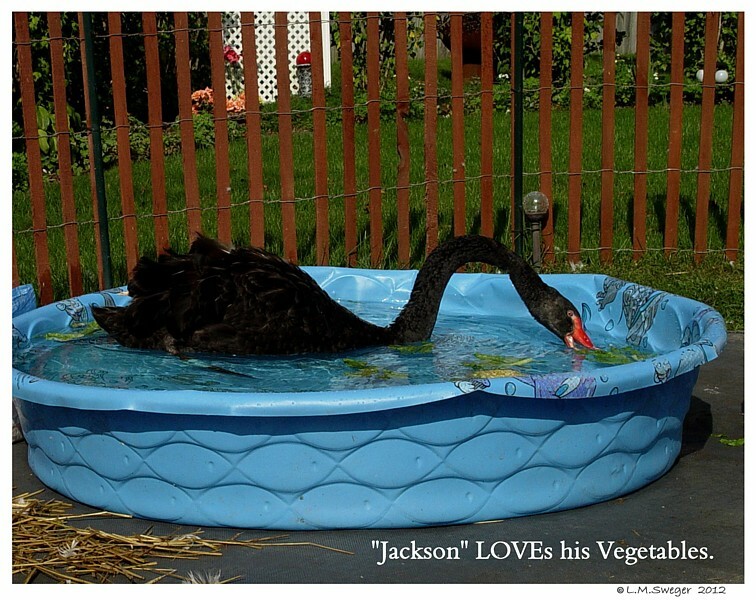 Black, slimy, decaying leaves – YUCK ! Anything for a few Calories. 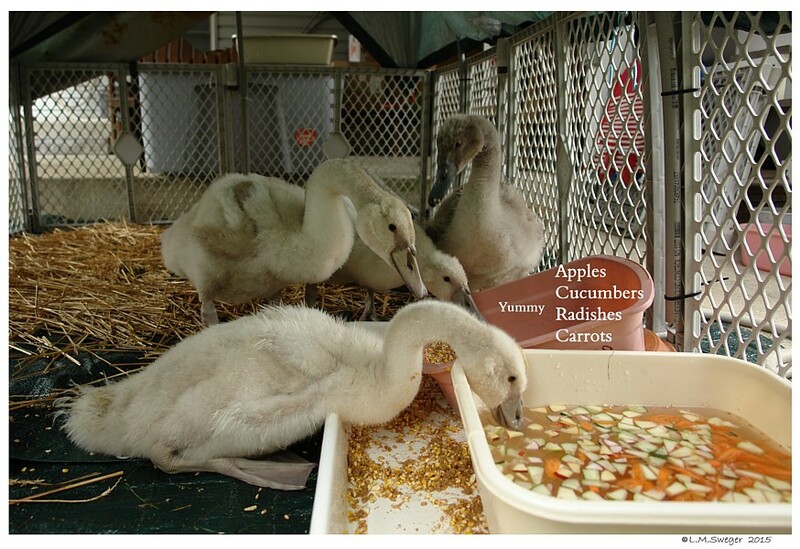 Captive Swans need Supplemental Feeding to remain Healthy. 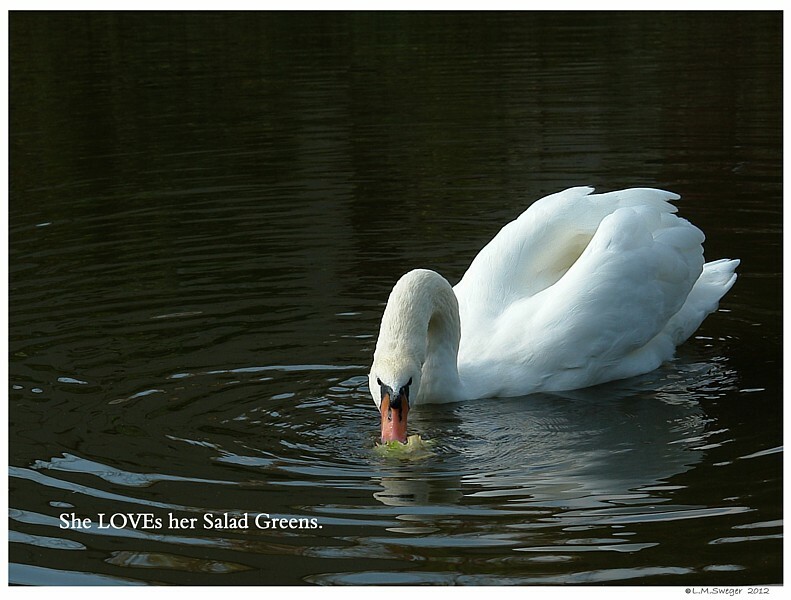 A Female Swan will produce a Healthier Clutch of Eggs if she has “Greens” through the Winter Months. 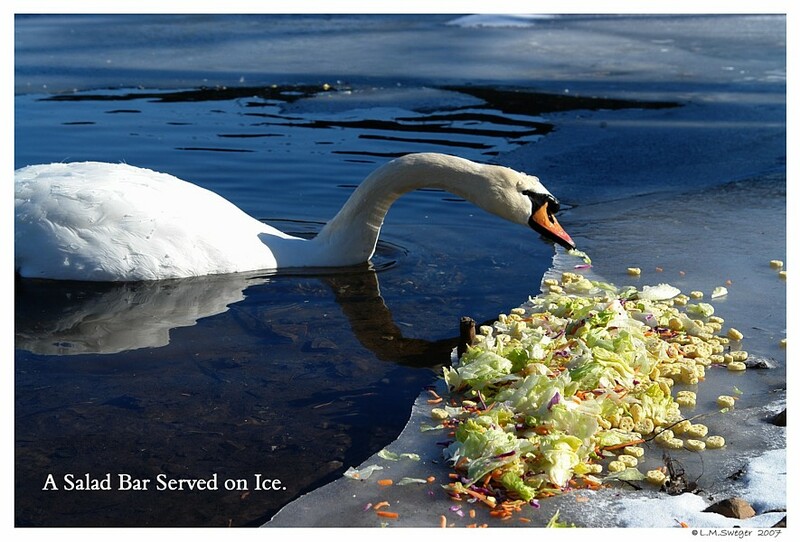 If you can SAFELY place Lettuce and Vegetable out on an Icy Ledge.. the Swans enjoy this as a Salad Bar. 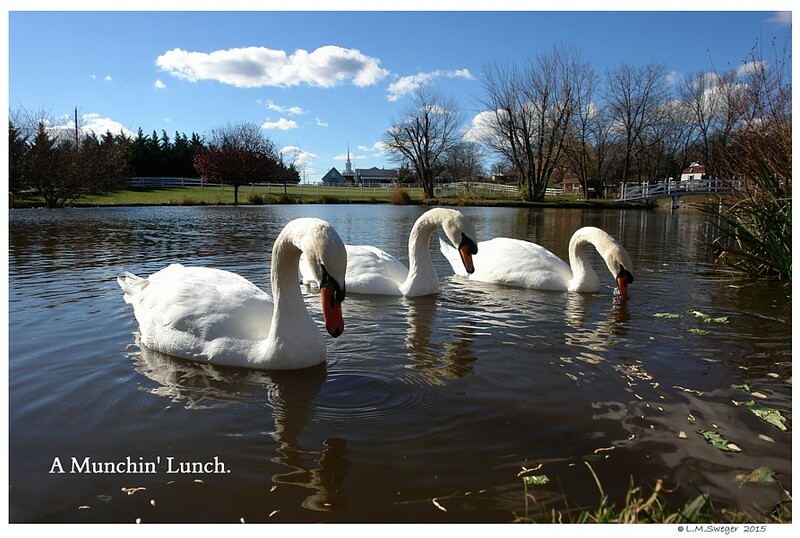 Swans will need time to adjust to new Foods offered, and will eat different items in the Winter and the Summer. 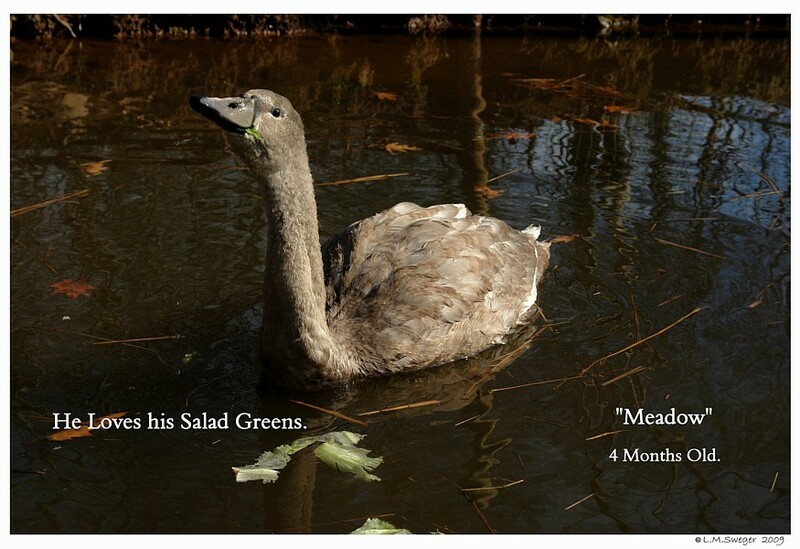 Example: Celery Leaves seem to be an acquired taste. 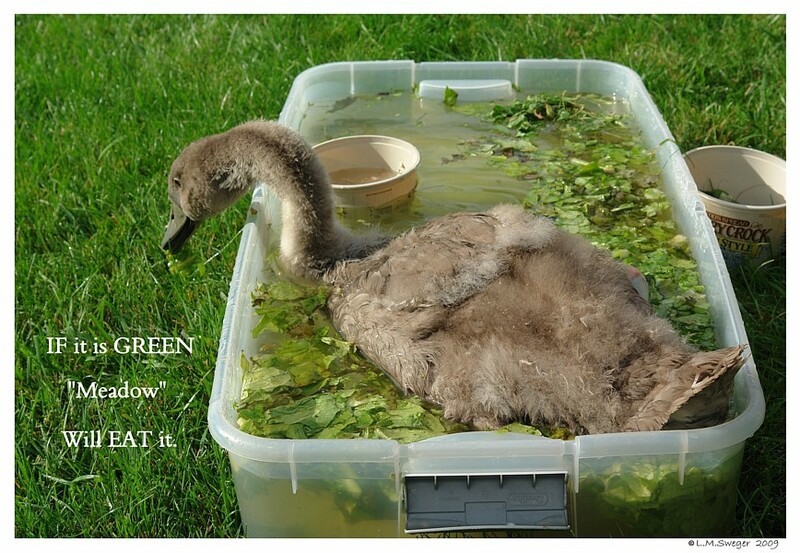 Once they are exposed a few time most Swans enjoy the tender yellow-green Leaves. 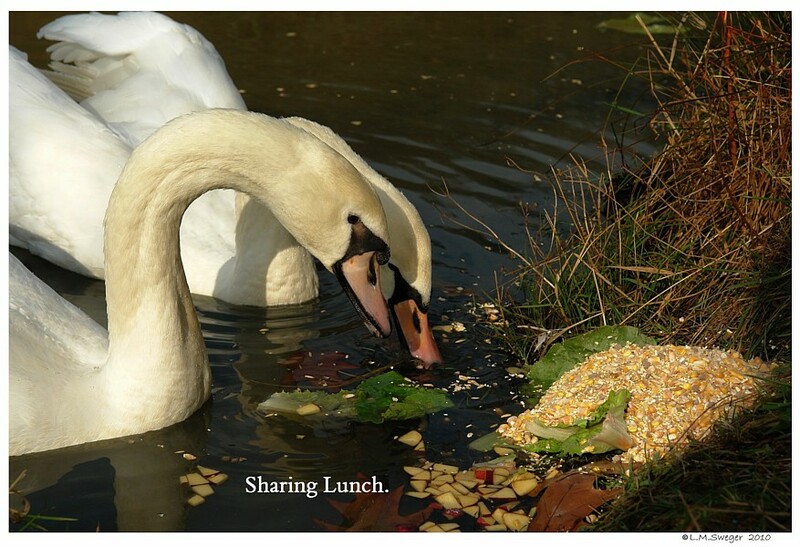 Each Swan has Foods they likes and dislikes, just like People. You will get to know what will just be wasted. 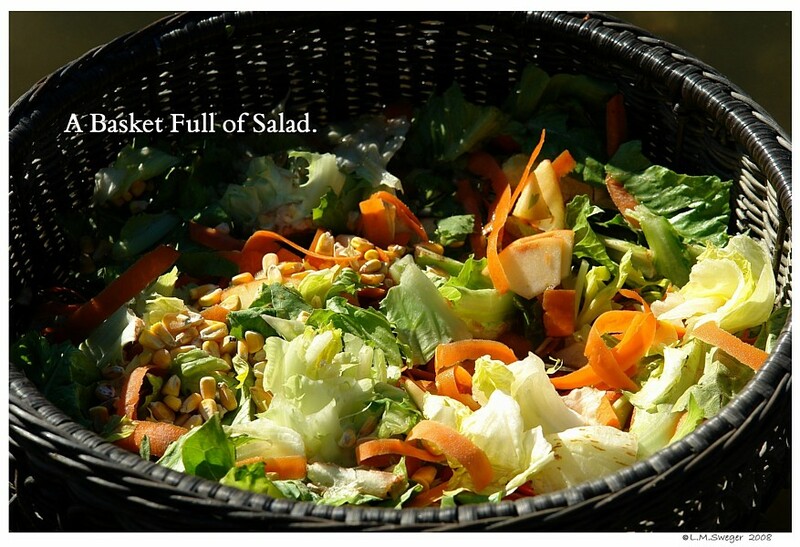 Try small amounts of a new Food for a week or two and observe what is eaten. 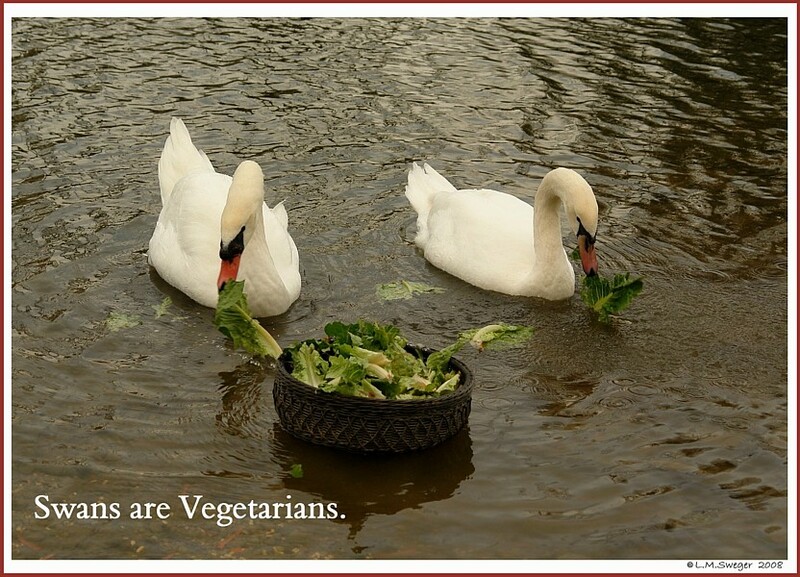 Once they Eat their Vegetables…. 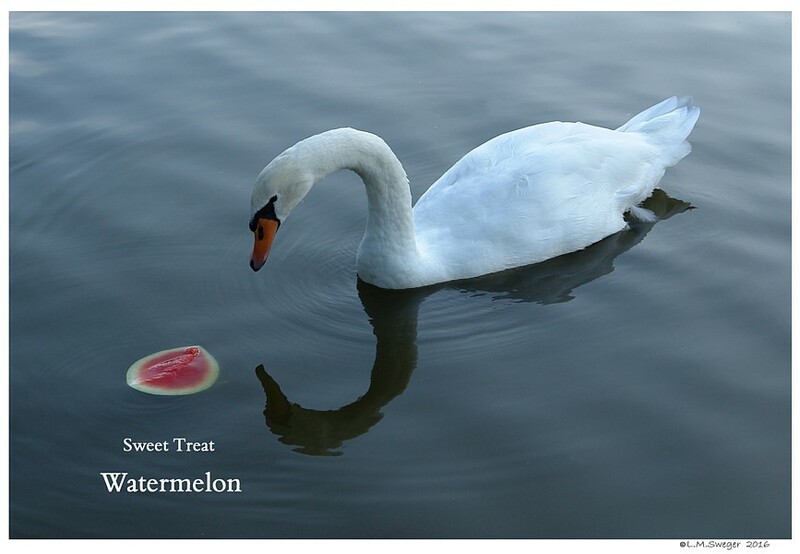 Your Swans will Enjoy a FEW Treats. 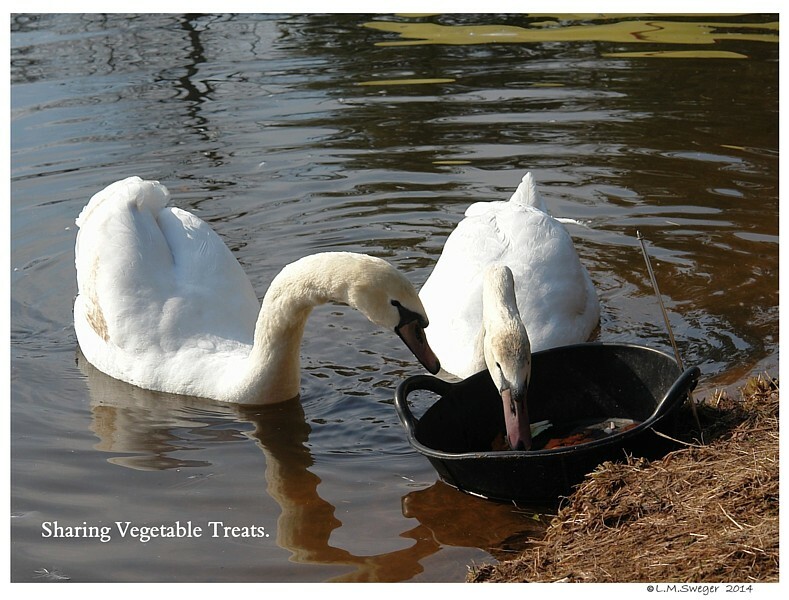 Swans will eat their Favorite Foods first..
Keep “Treats” from becoming their Primary Nutrition. 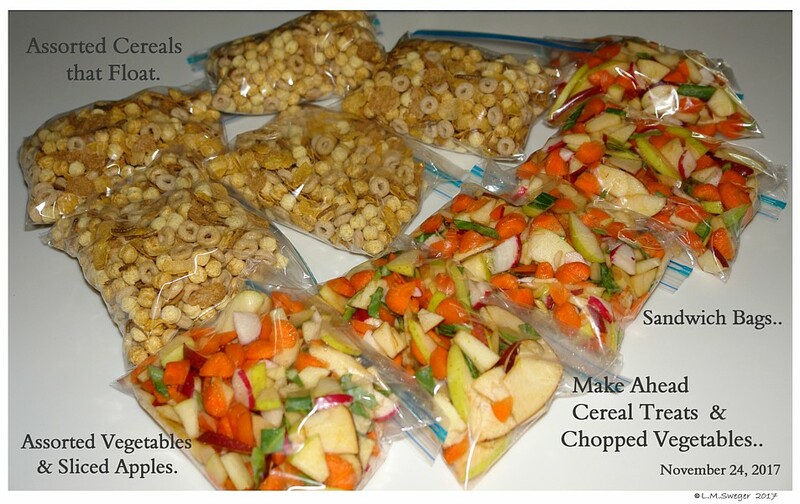 GOOD Snacks/Treats are Whole Grain Cereal. 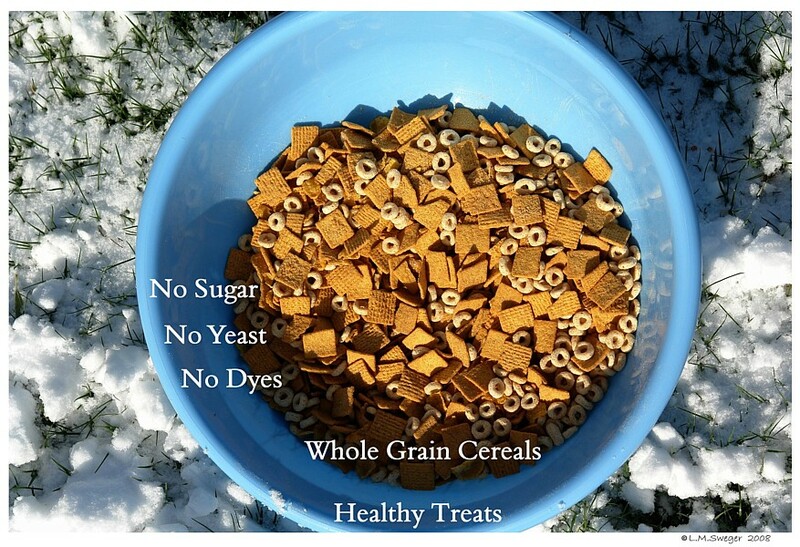 Avoid Yeast and Colored Dyes that many Cereals have. 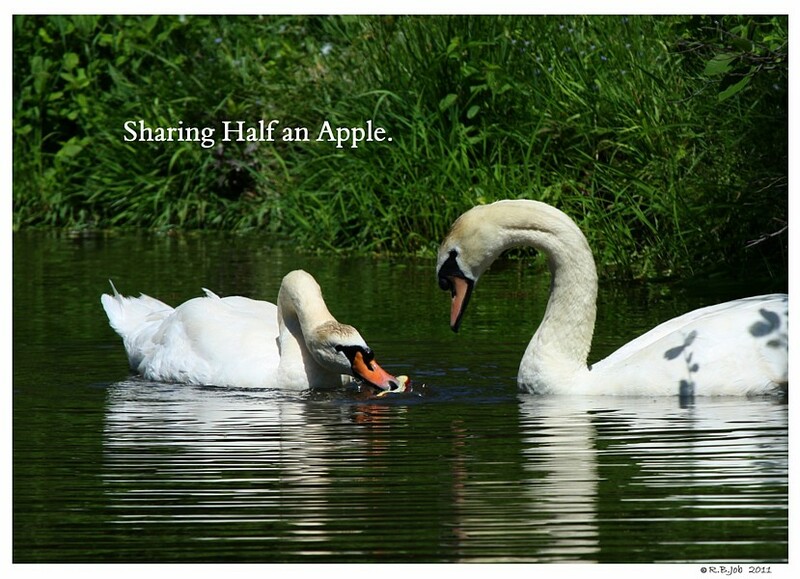 We gave our Swans a few One Inch Squares of Honey Graham Crackers. 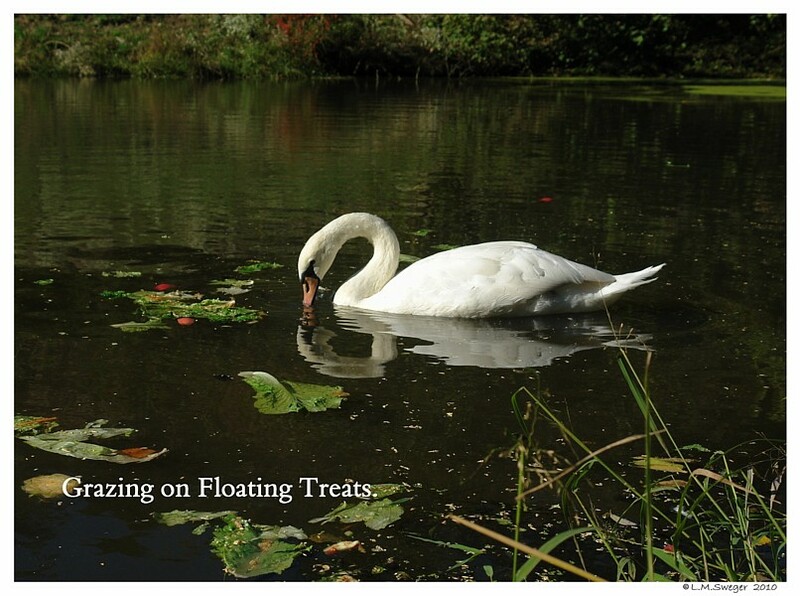 These have NO Yeast and they Float.. and can be Frisbeed out to the Swans. Toss to the Dominate Female first. NO ONIONS, Garlic, Mushrooms or Avocados.. 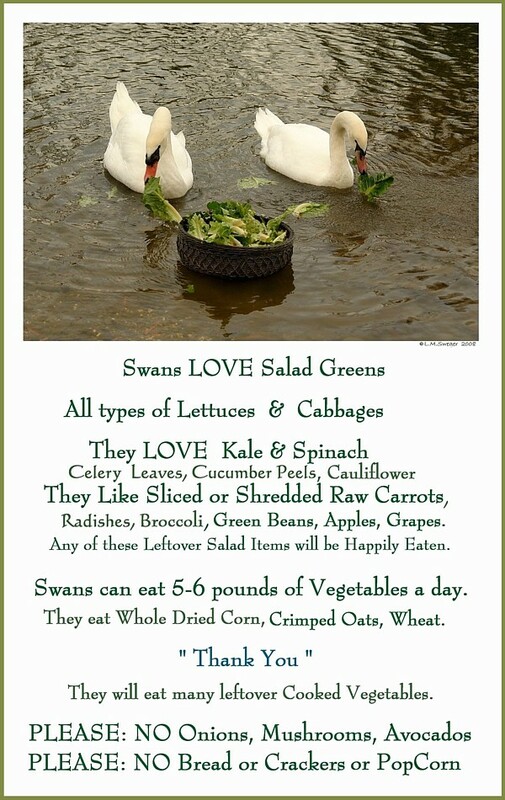 These will upset a Swan’s Stomach..
Avoid Salty Foods. Avoid Sugary Foods. NO BREAD, Crackers, Chips or Pop Corn..